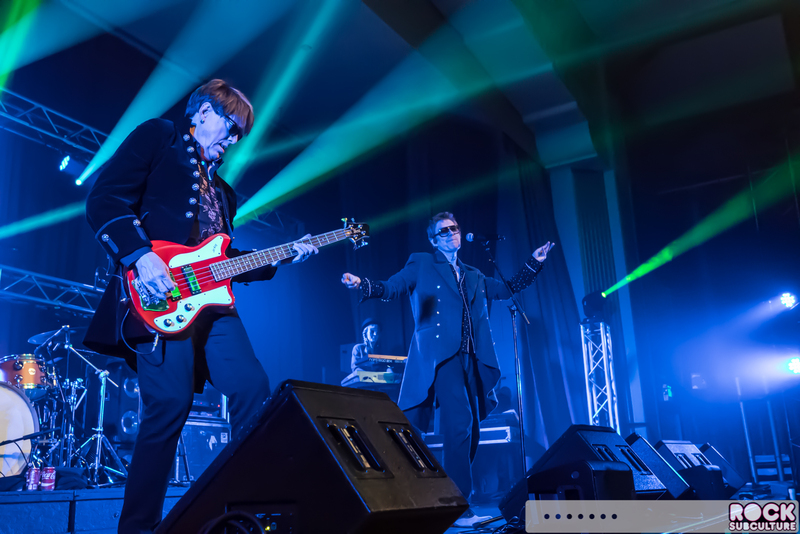 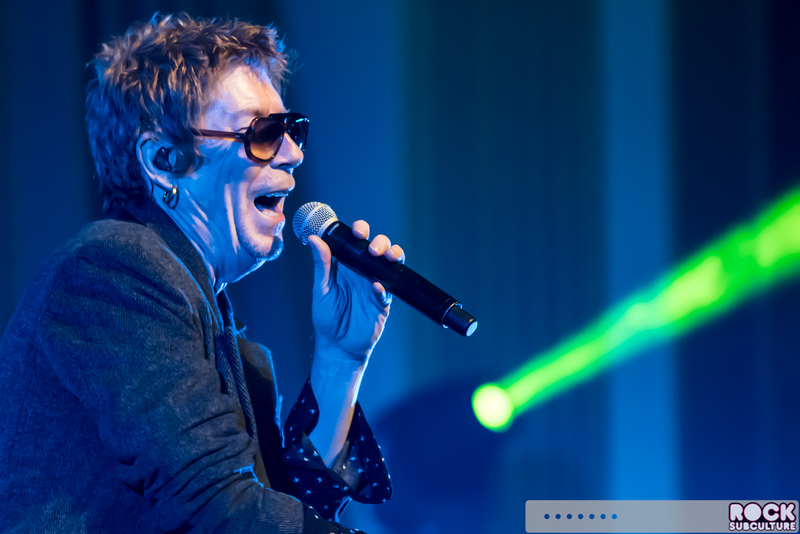 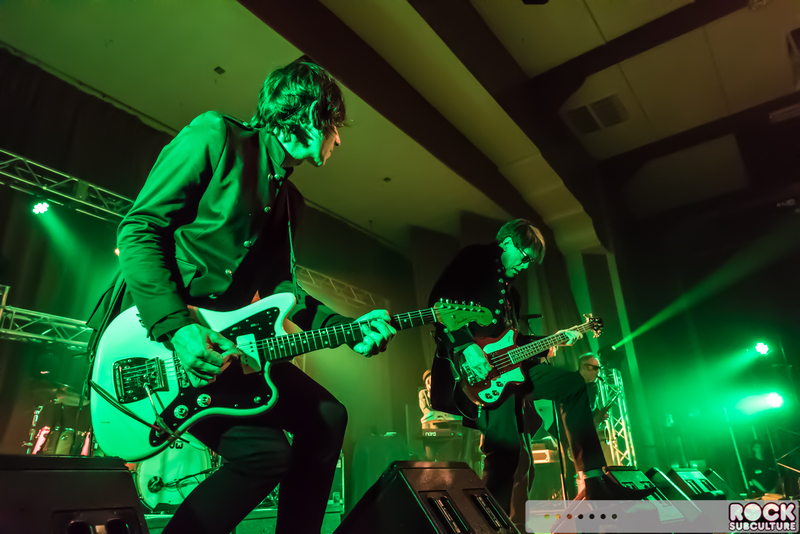 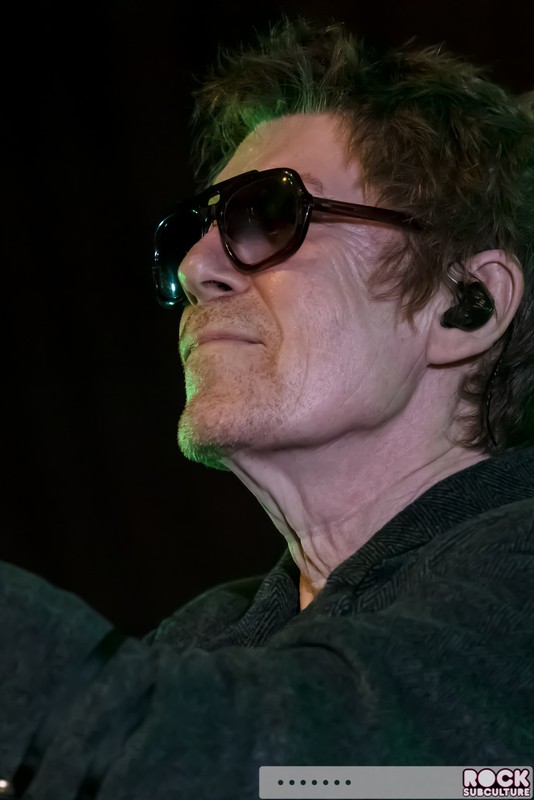 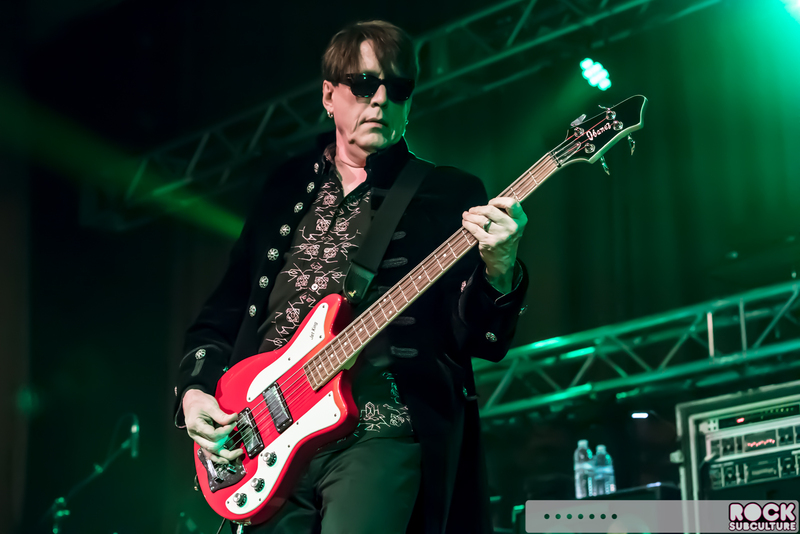 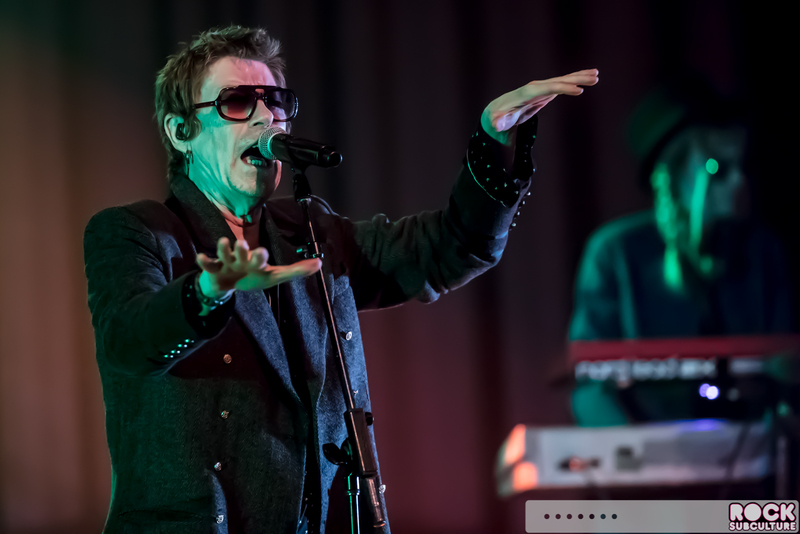 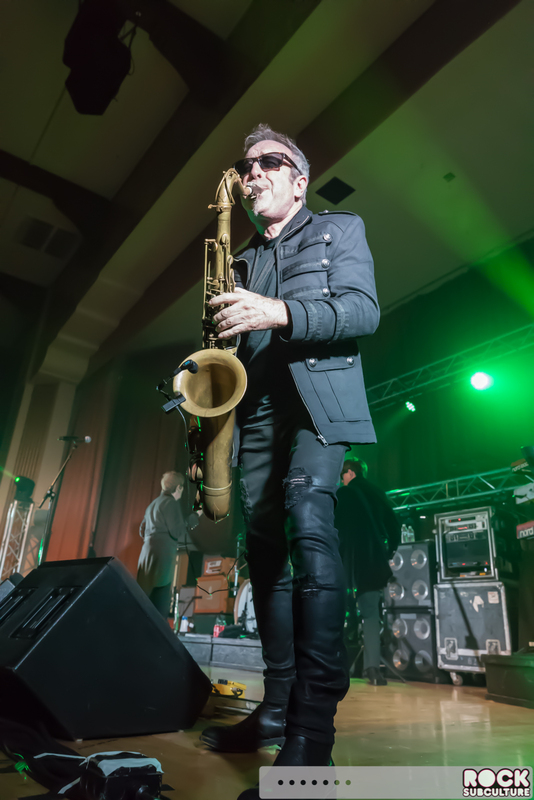 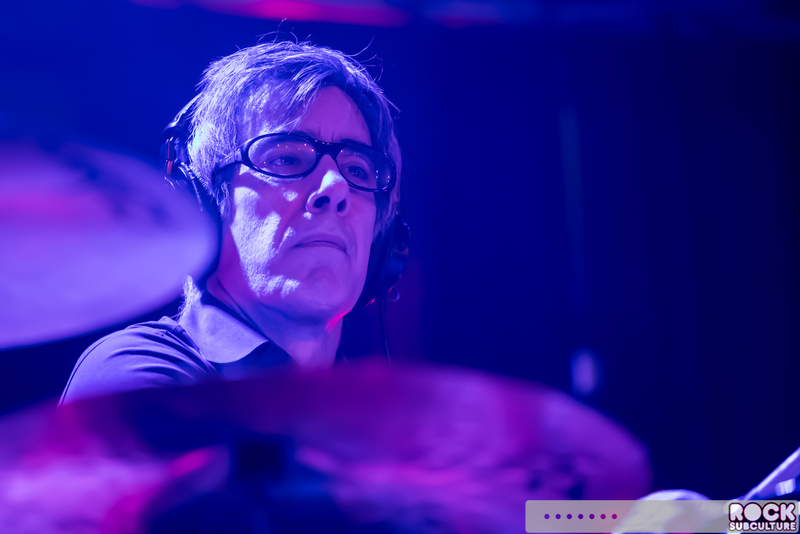 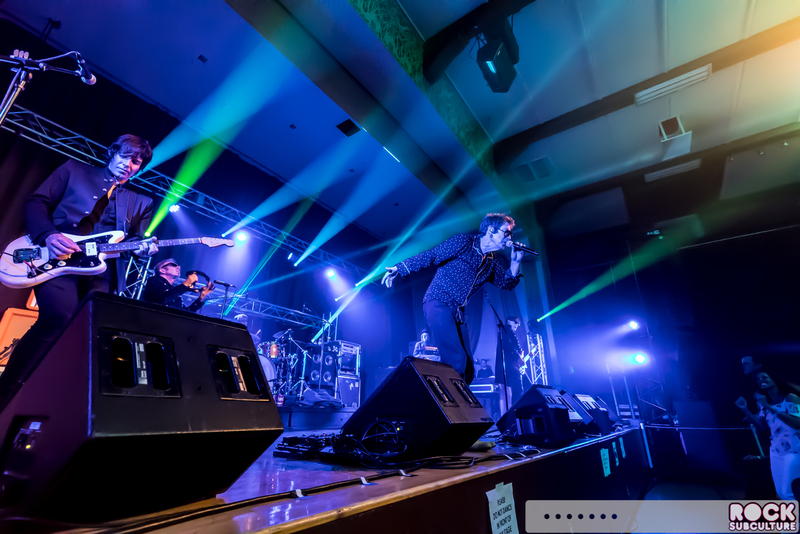 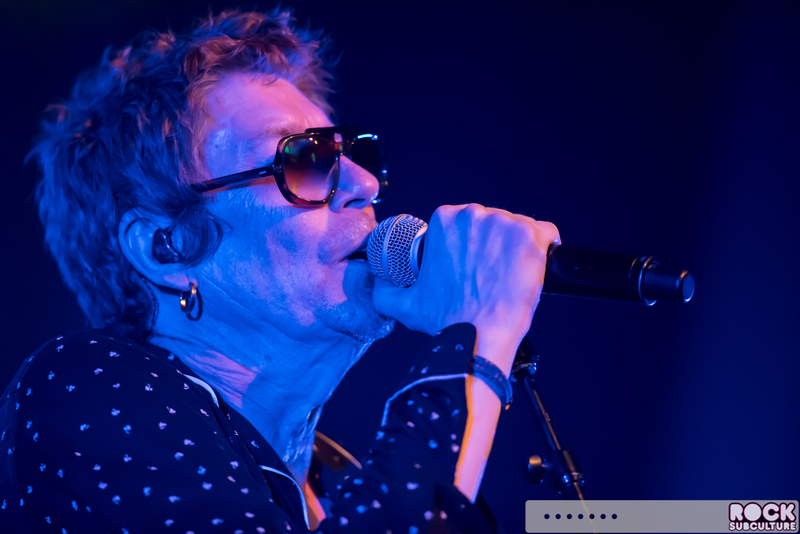 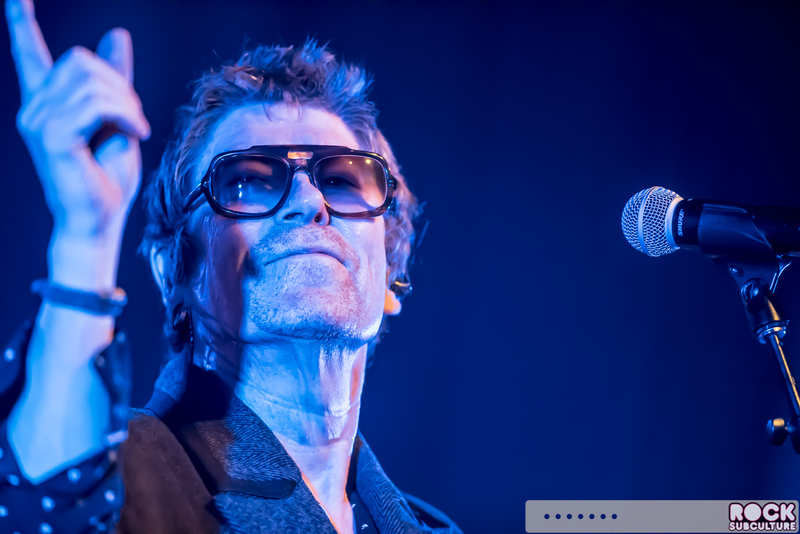 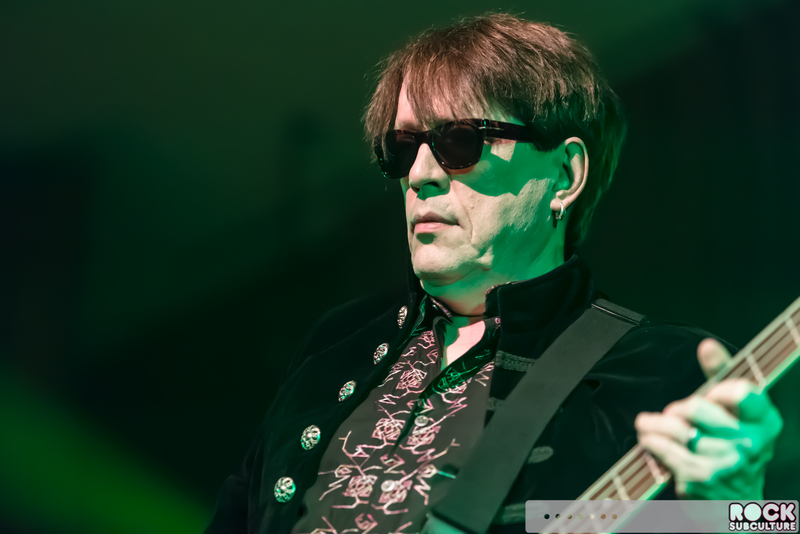 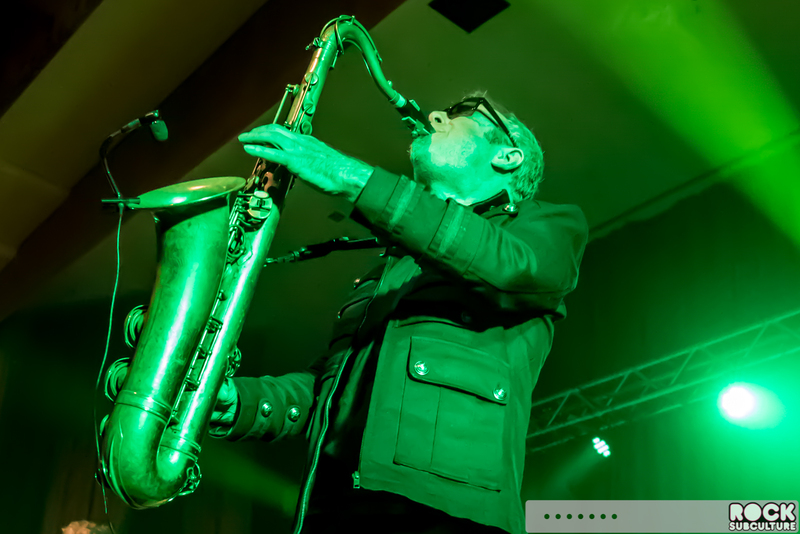 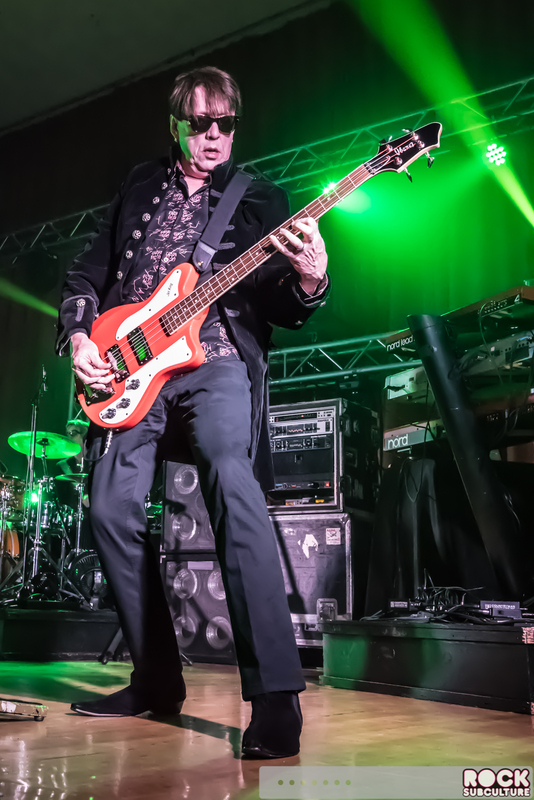 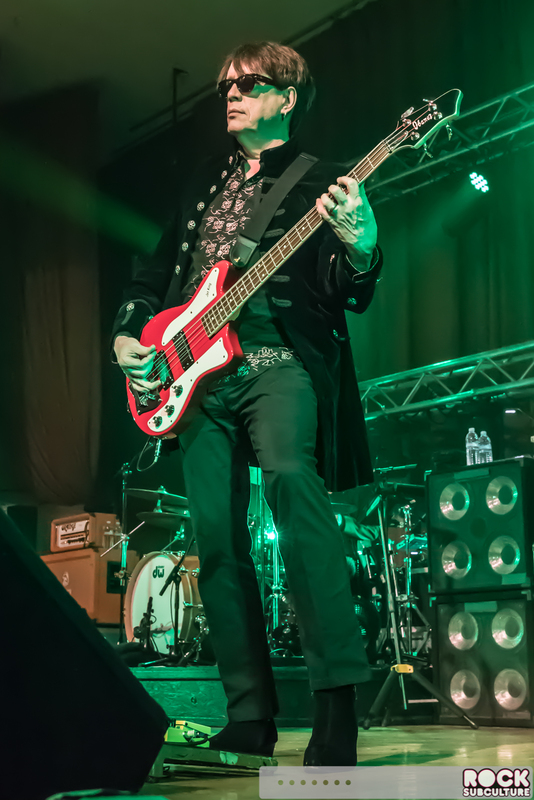 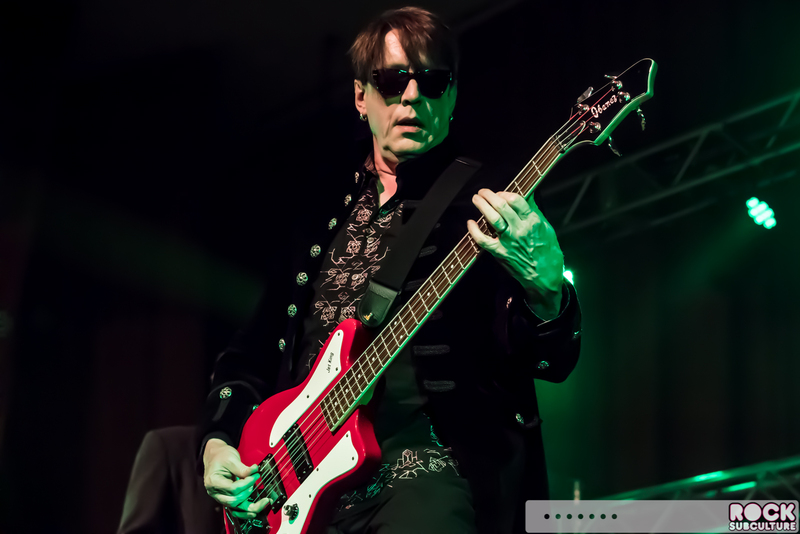 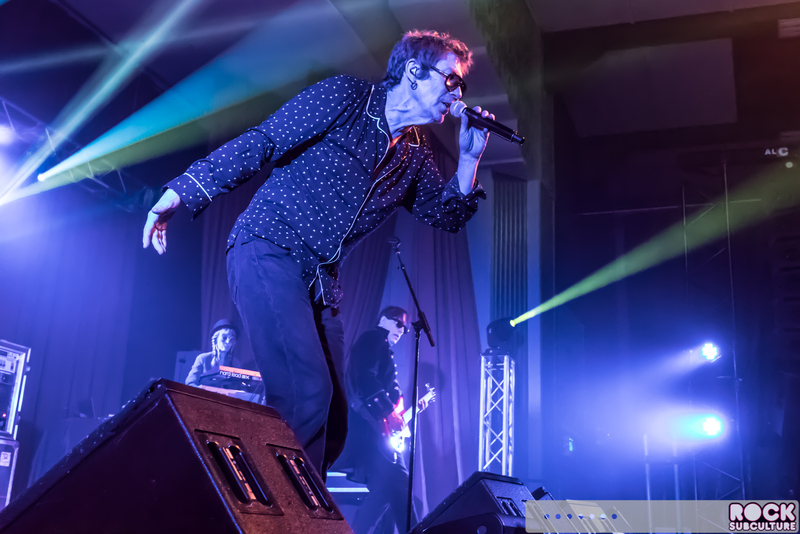 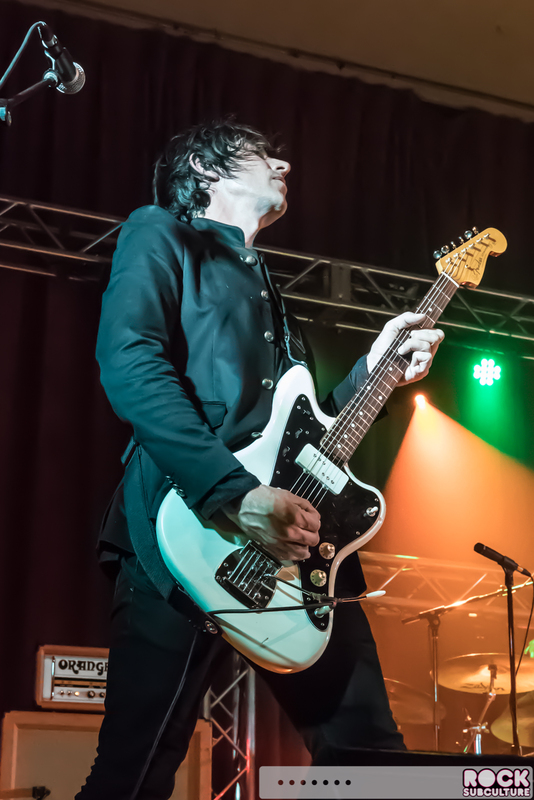 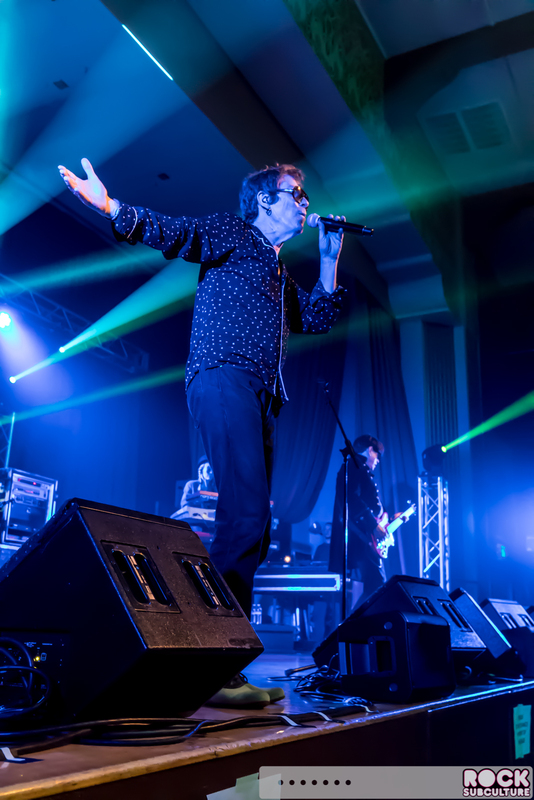 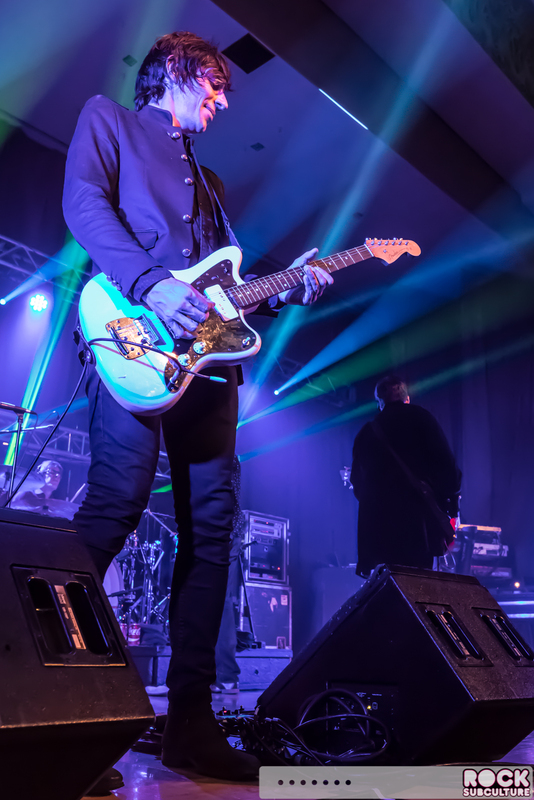 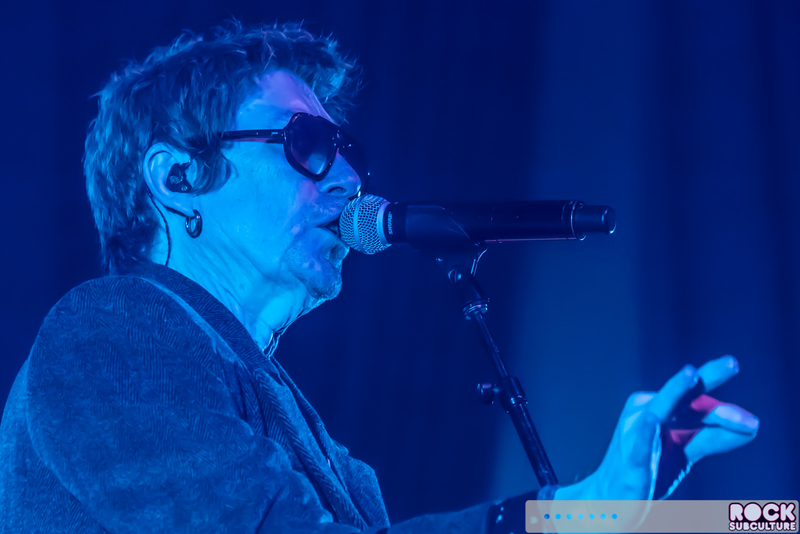 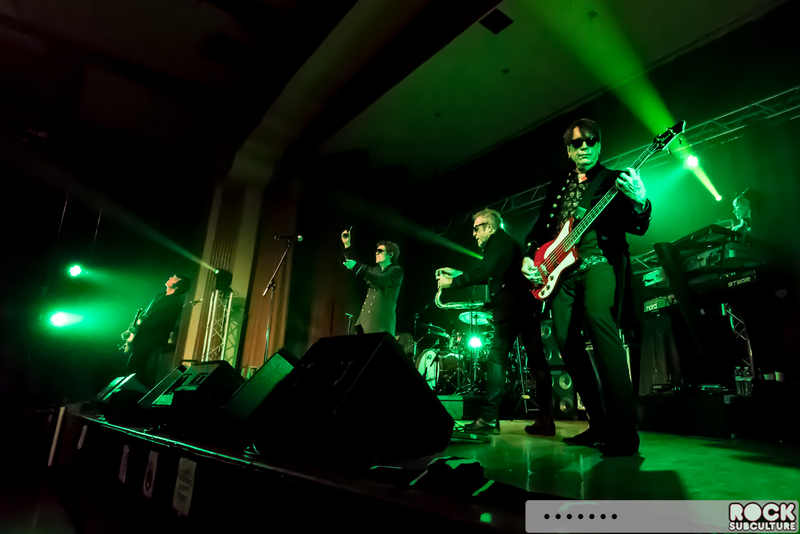 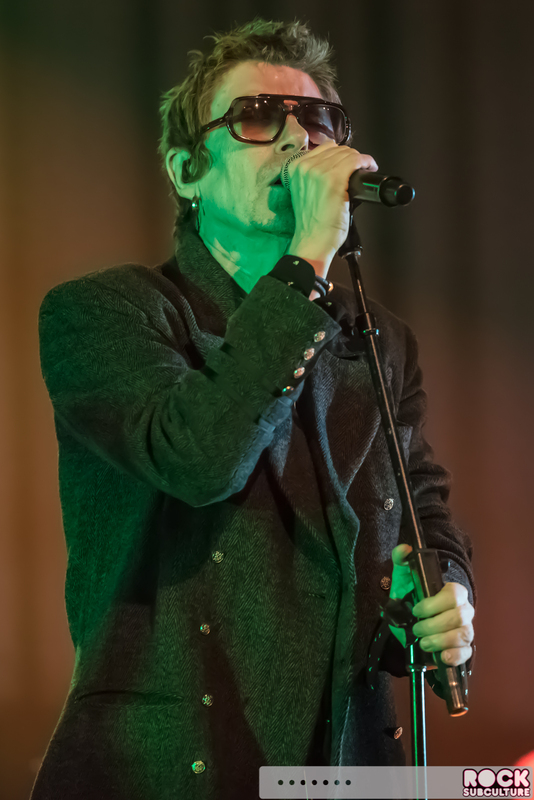 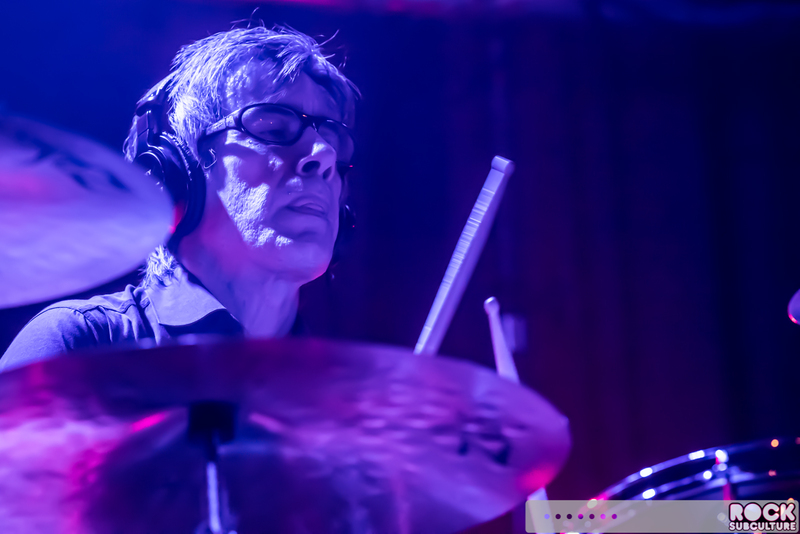 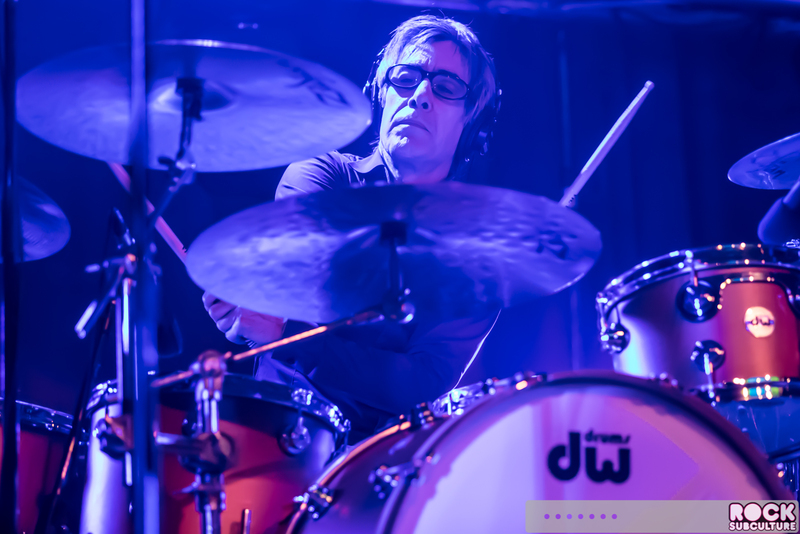 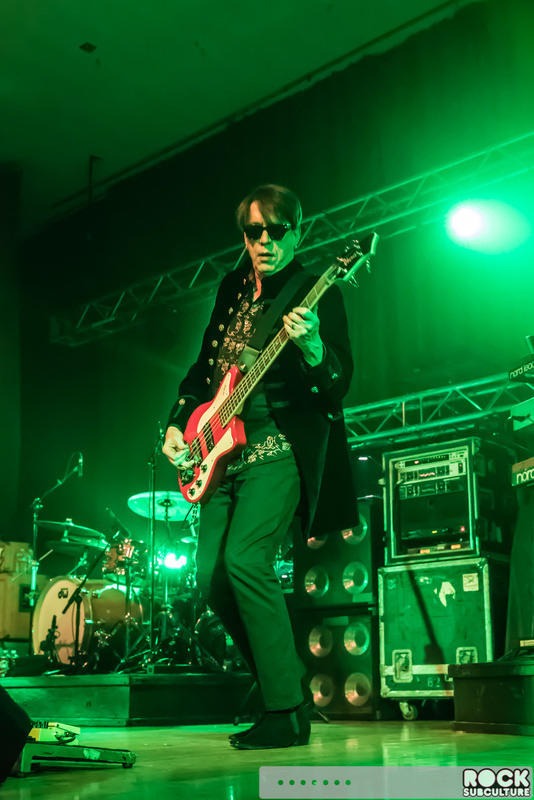 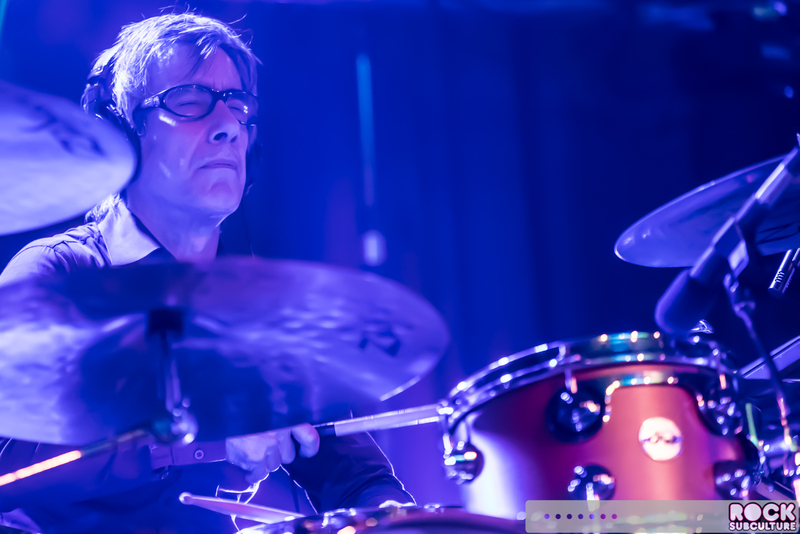 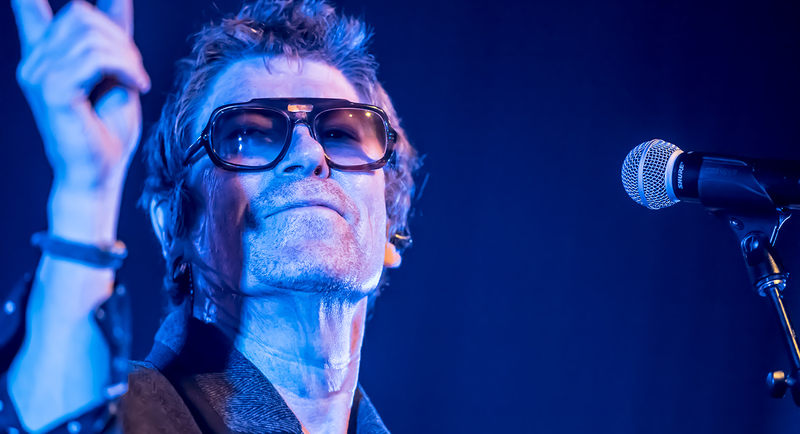 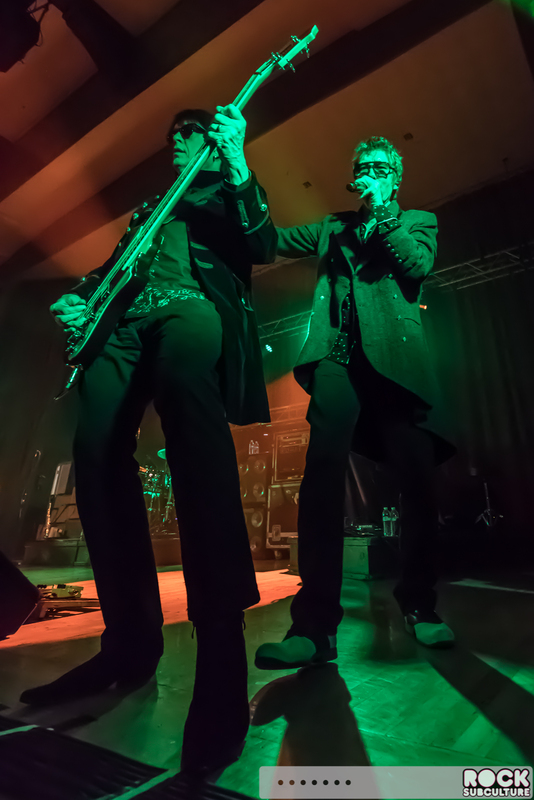 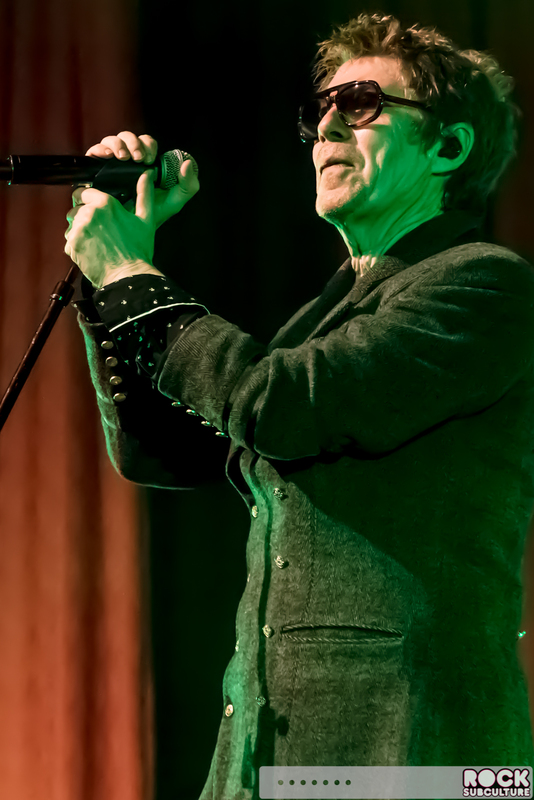 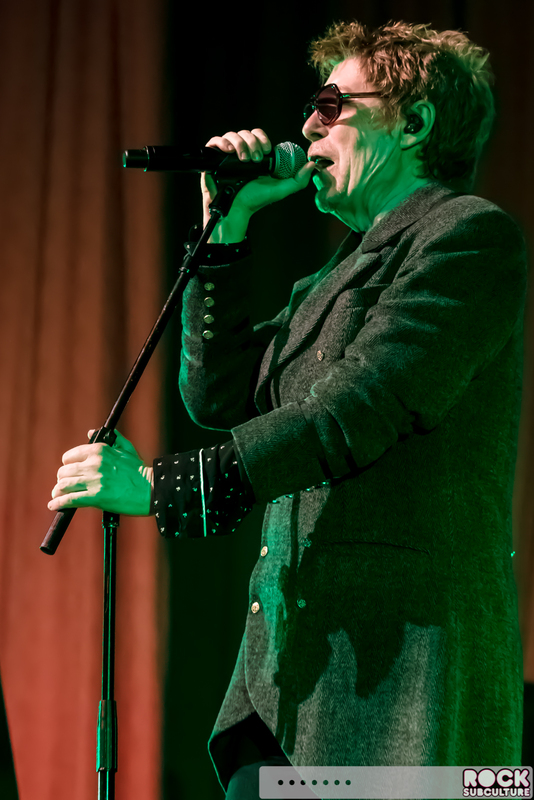 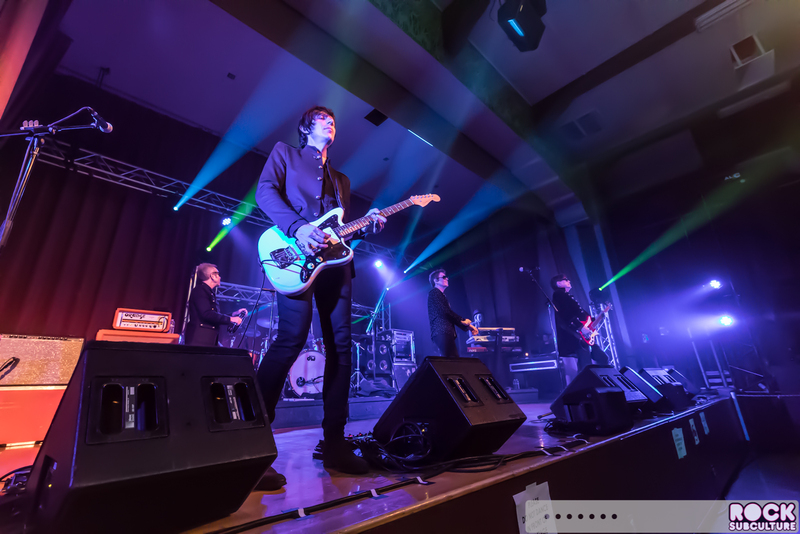 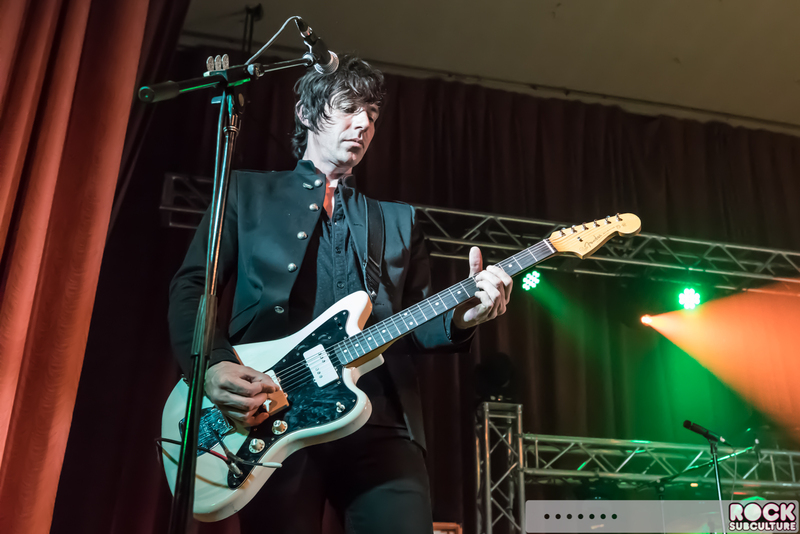 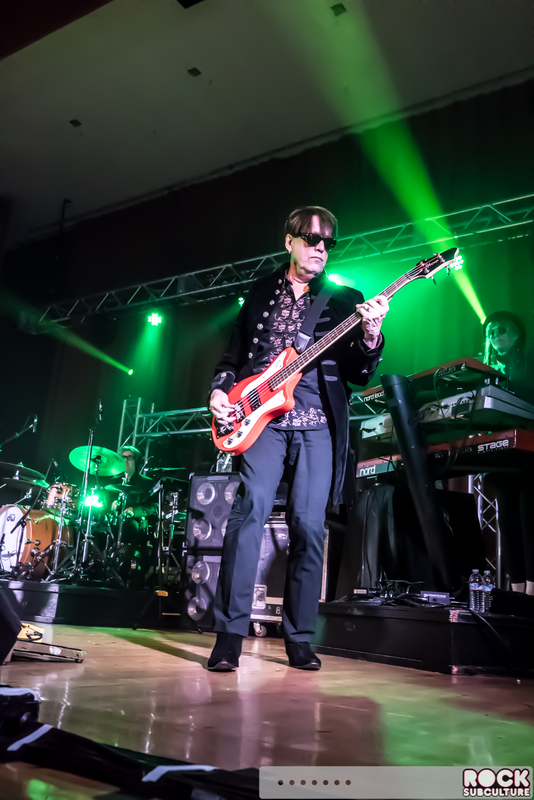 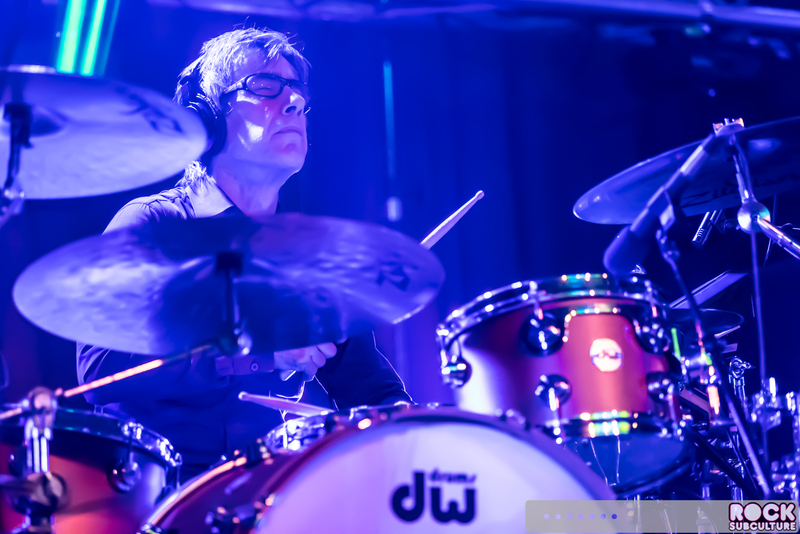 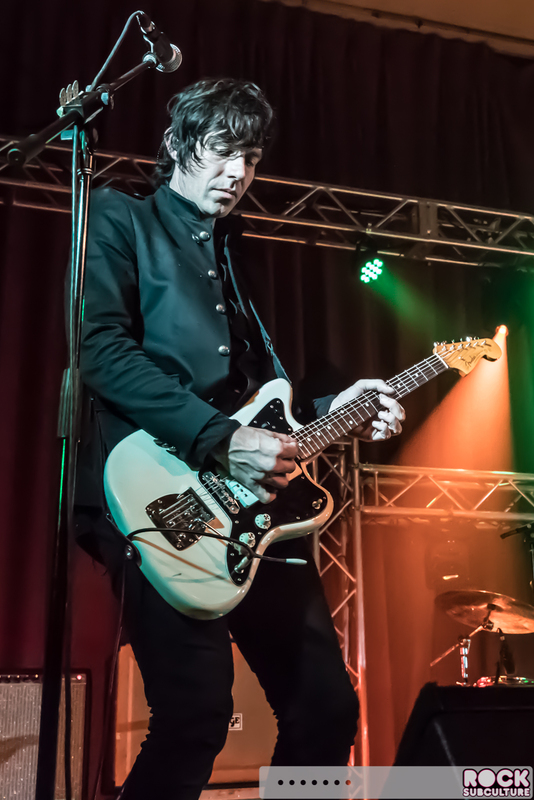 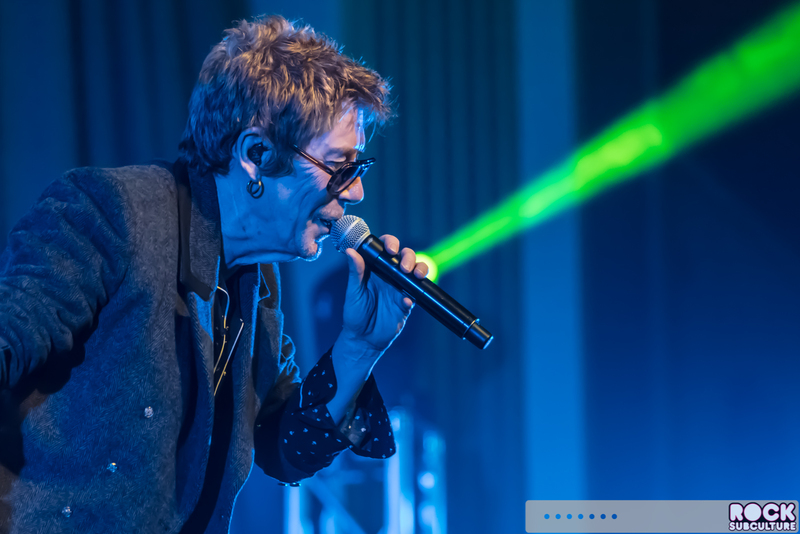 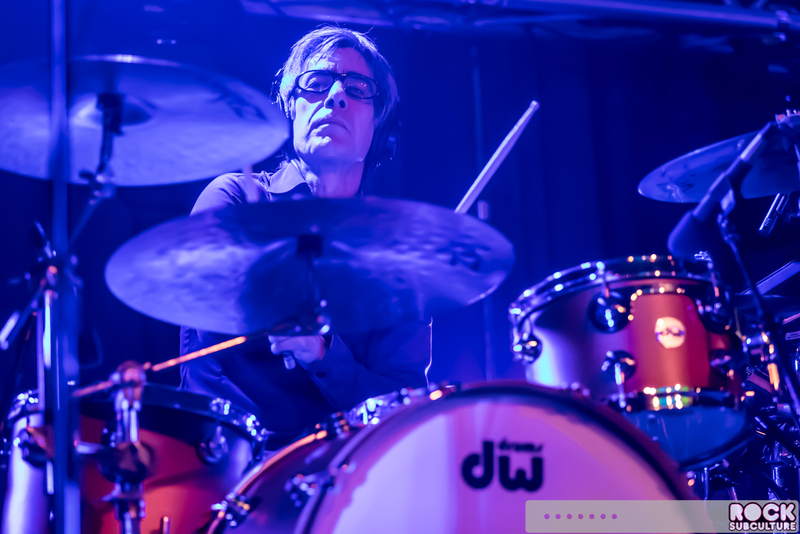 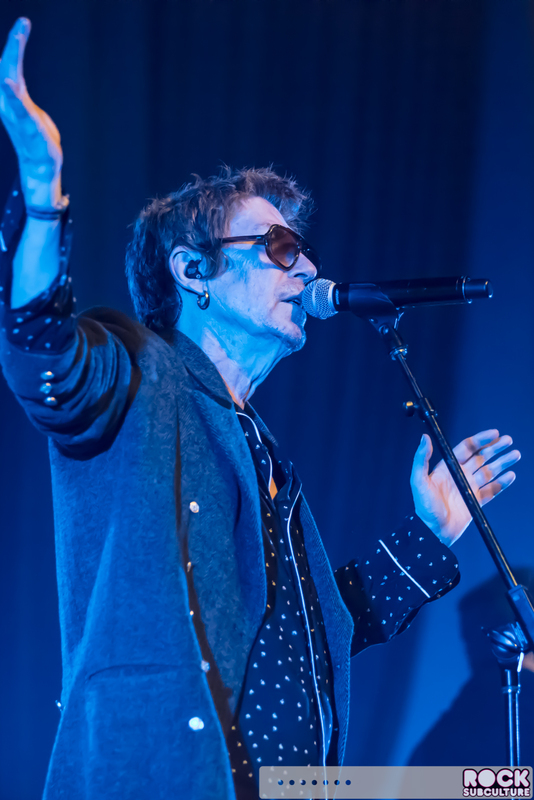 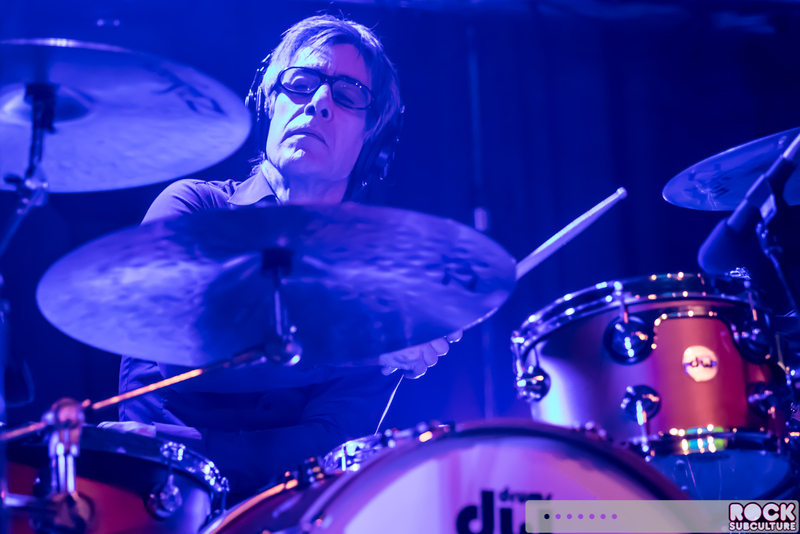 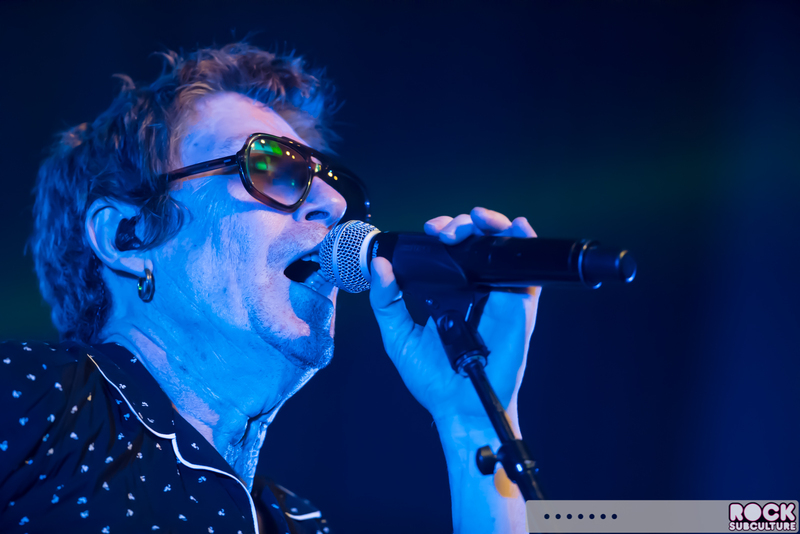 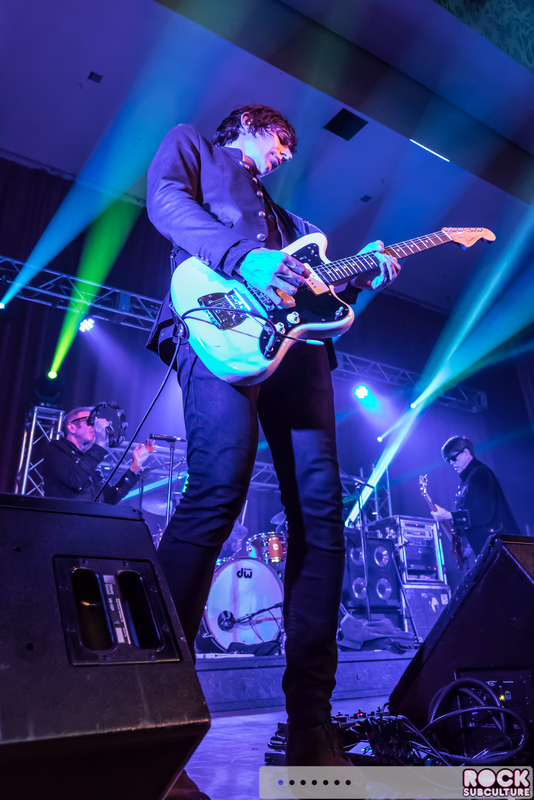 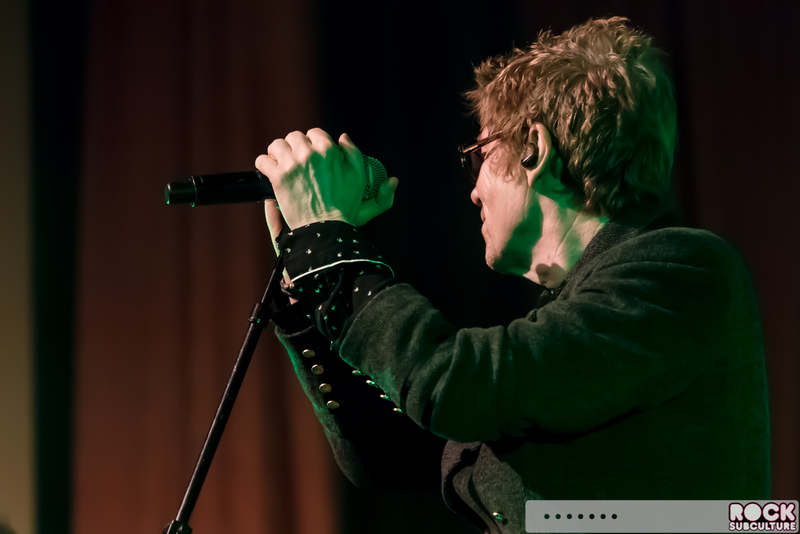 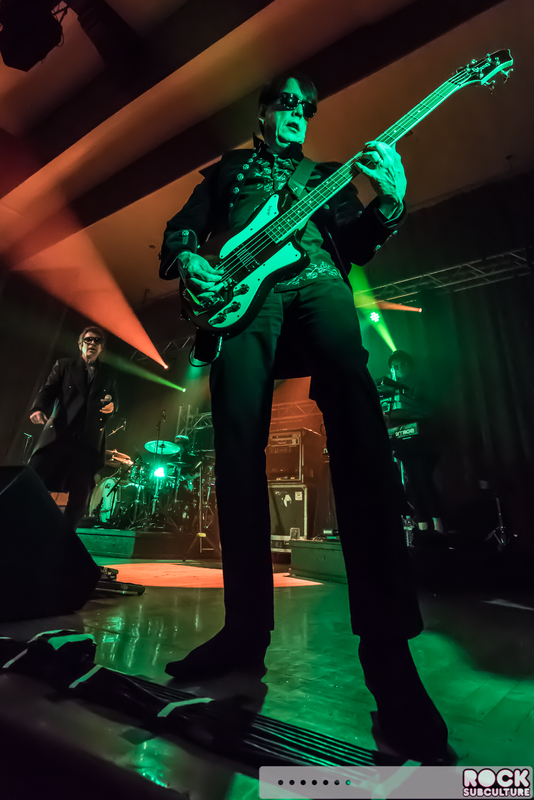 The Psychedelic Furs aren’t too chatty on stage – they just get to work and seem to have an awesome time performing in front of their fans. 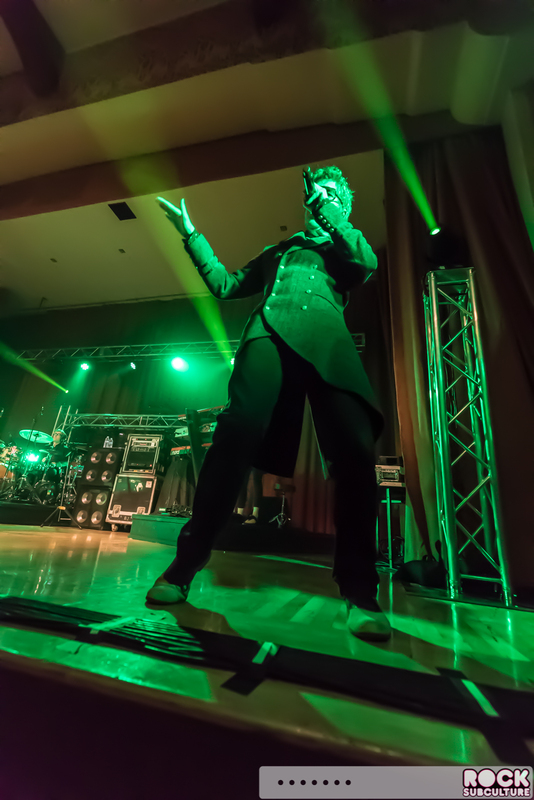 This was definitely one of my top shows of the year, and it really just made me want to see them again… it was that amazing. 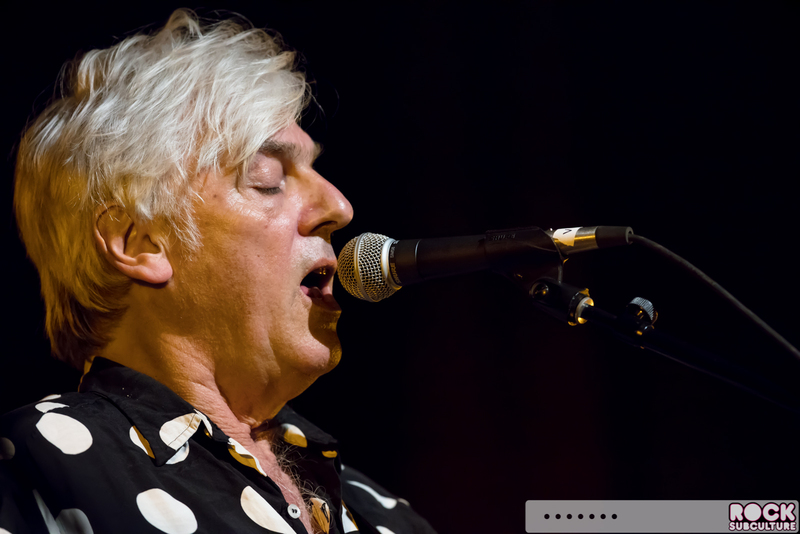 The pairing with Robyn Hitchcock was brilliant as well, and I thoroughly enjoyed both sets. 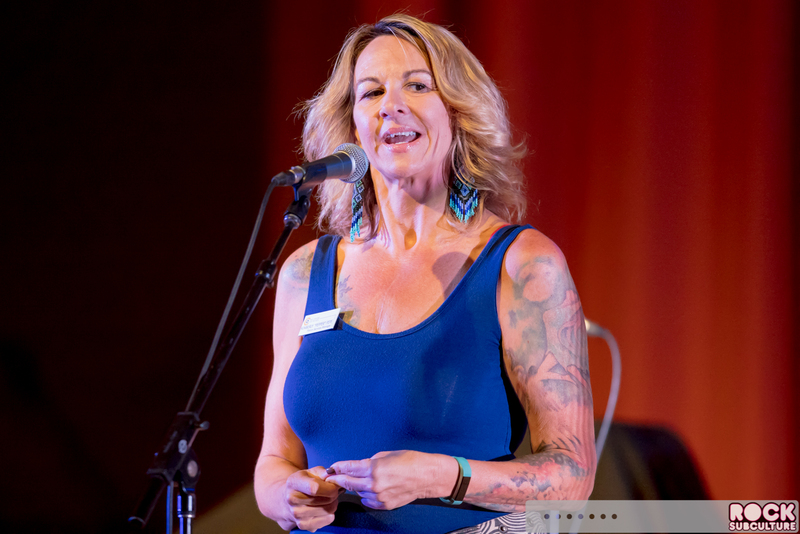 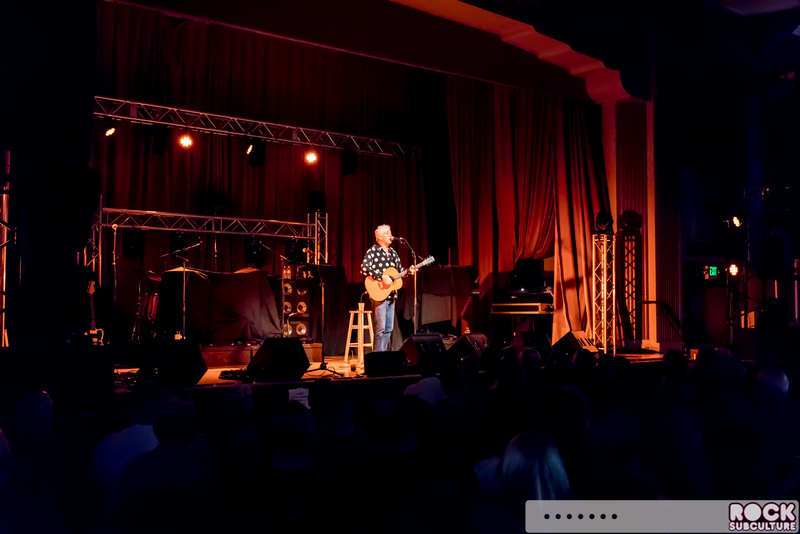 An awesome night of music in Grass Valley by The Center for the Arts. 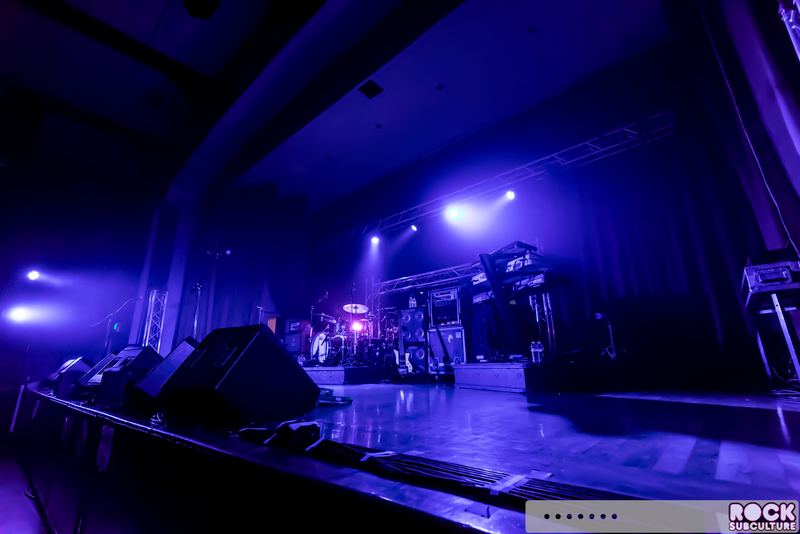 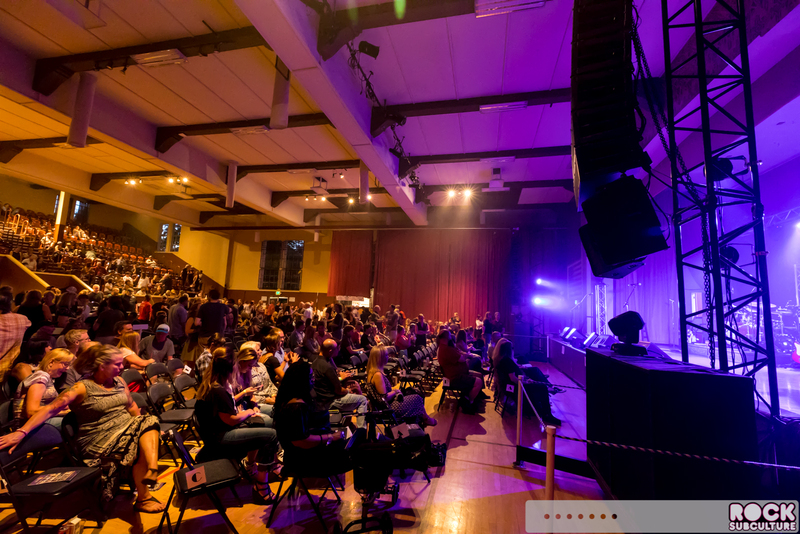 The Center for the Arts is one of my favorite concert promoters – the people behind it and the on site staff are always awesome. 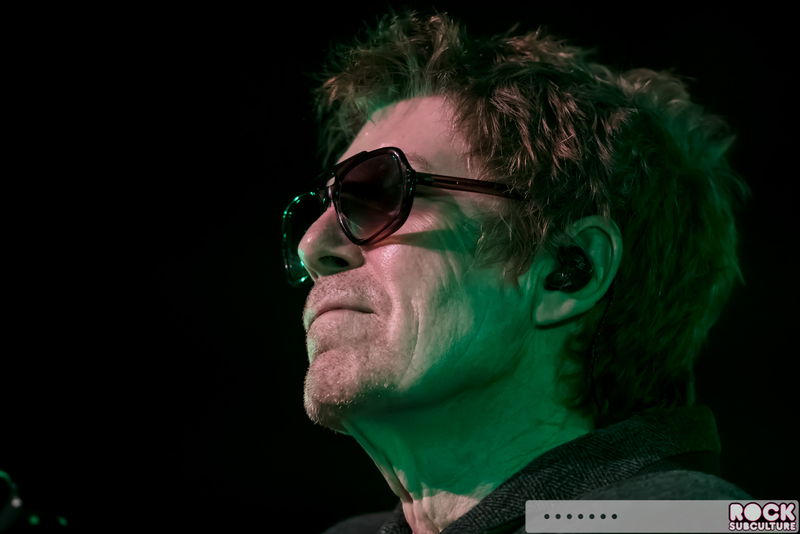 I was so happy to learn that The Psychedelic Furs were playing within an hour drive time of my house. 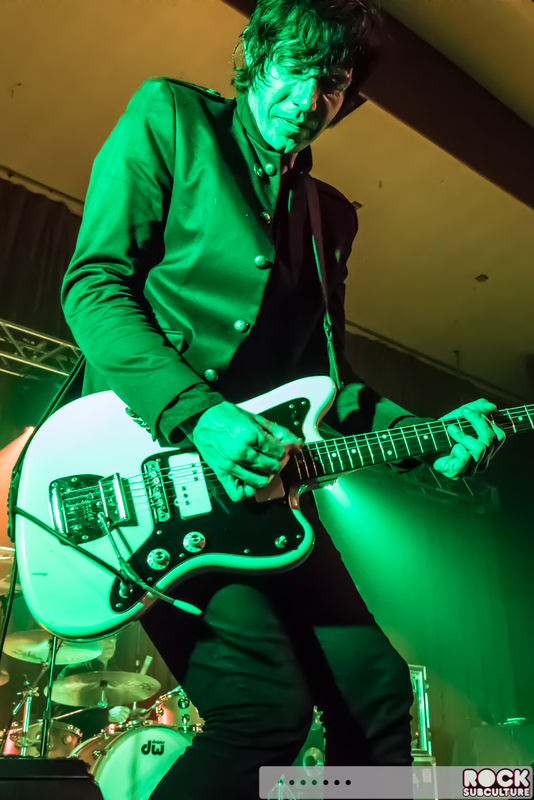 This show was part of the English post punk/New Wave band’s extensive tour of North America and the UK, with a series of concerts keeping them busy through October. 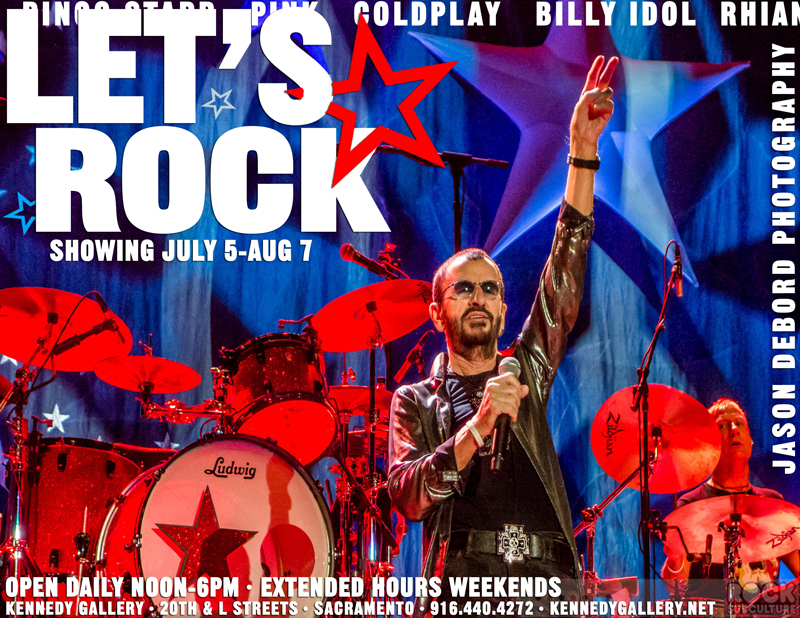 The modern rock pioneers are calling this “The Singles Tour”. 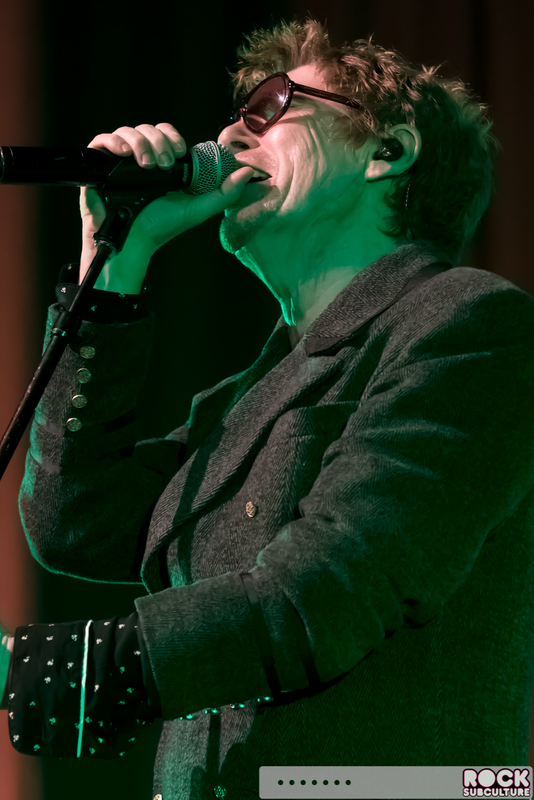 With seven studio albums and 22 singles, there are many favorite to choose from like “Pretty in Pink”, “Heartbreak Beat”, “Love My Way”, and “The Ghost In You”. 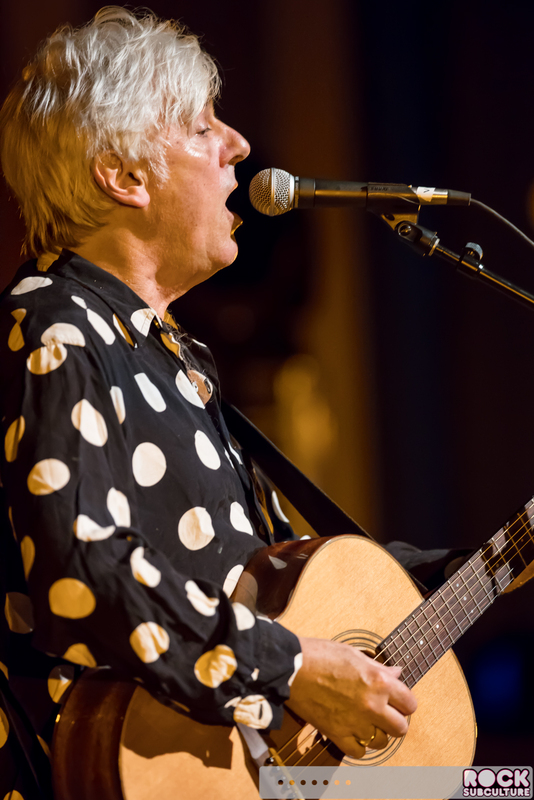 Joining The Furs on this tour is English singer-songwriter Robyn Hitchcock. 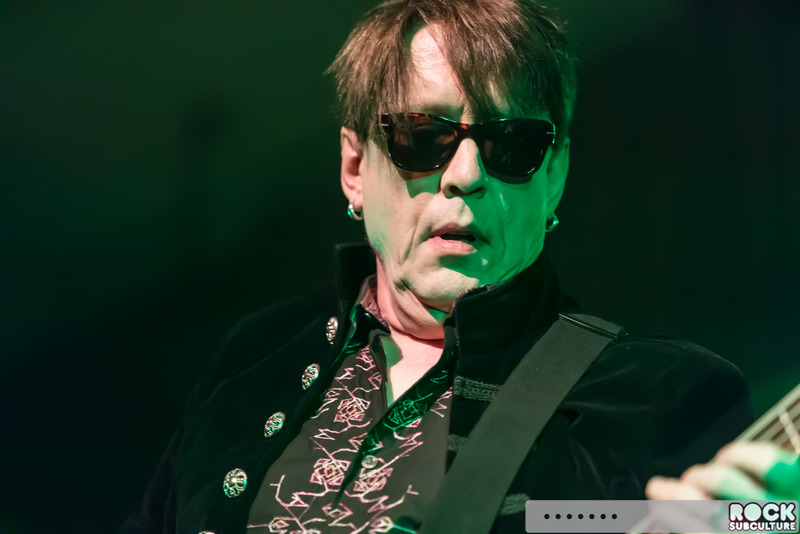 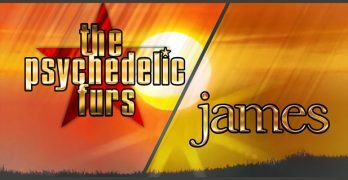 You can learn about everything The Furs on their official site at www.thepsychedelicfurs.com and Robyn Hitchcock at www.robynhitchcock.com. 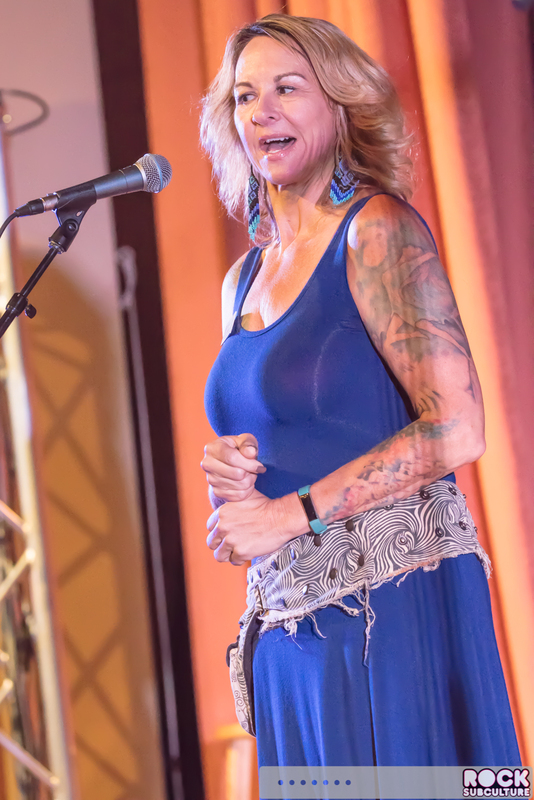 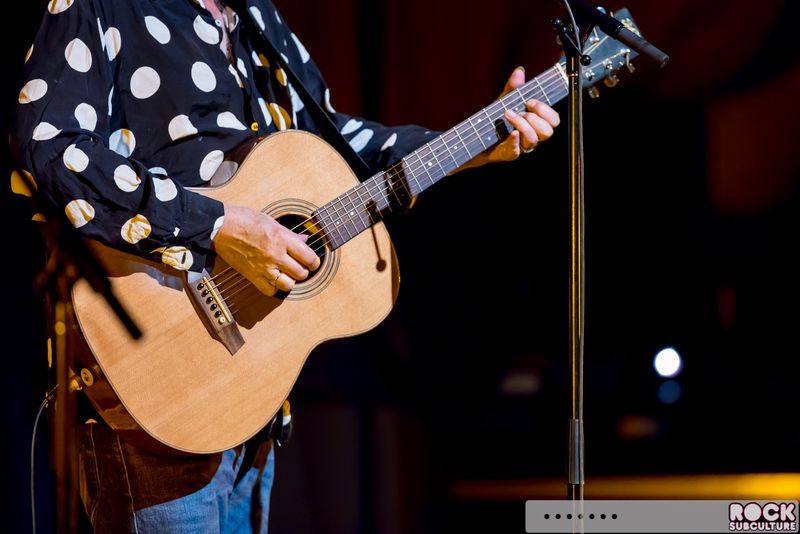 Check out all the upcoming shows and events by The Center for the Arts on their official website at www.thecenterforthearts.org. 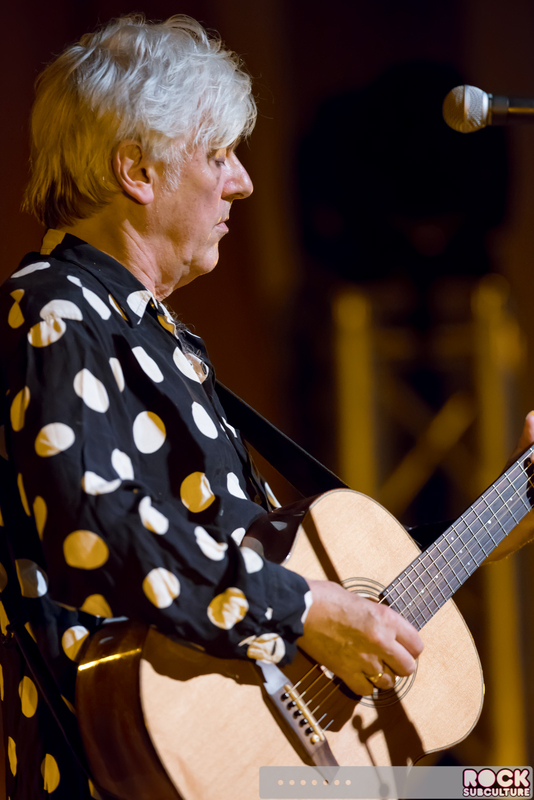 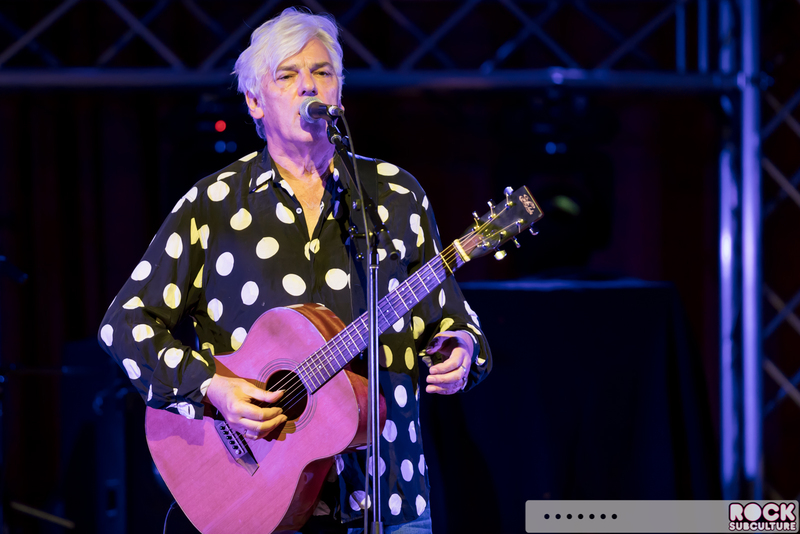 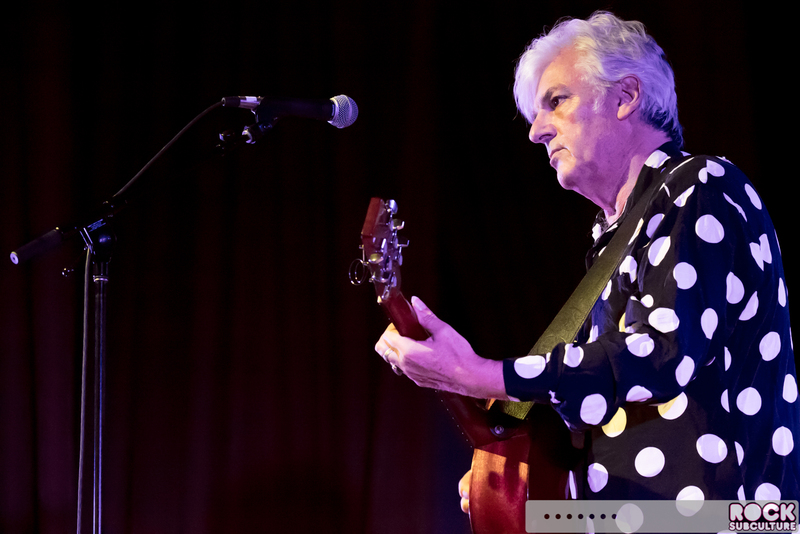 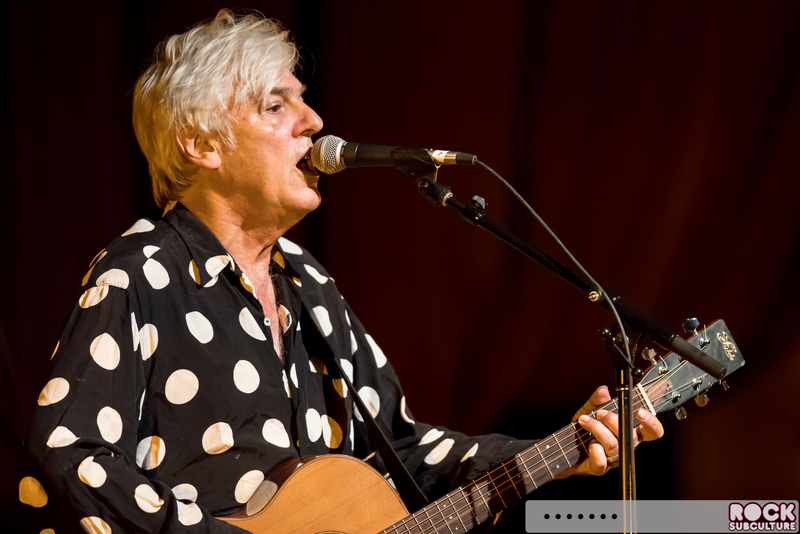 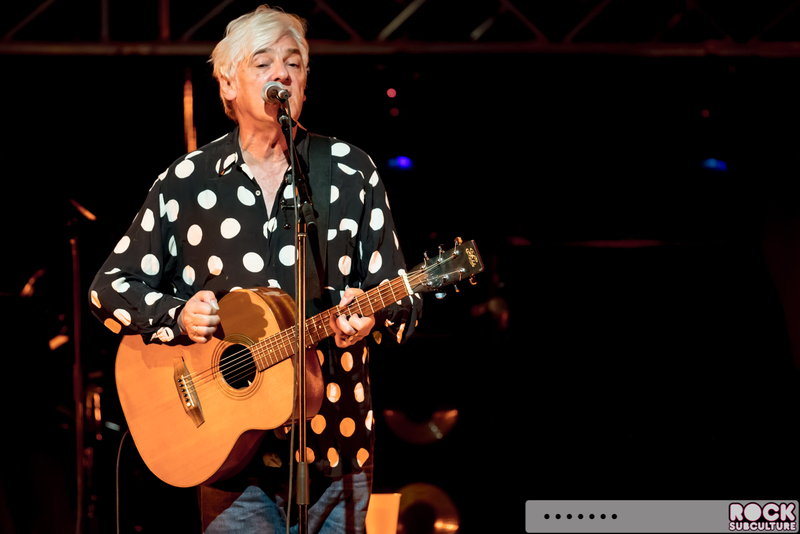 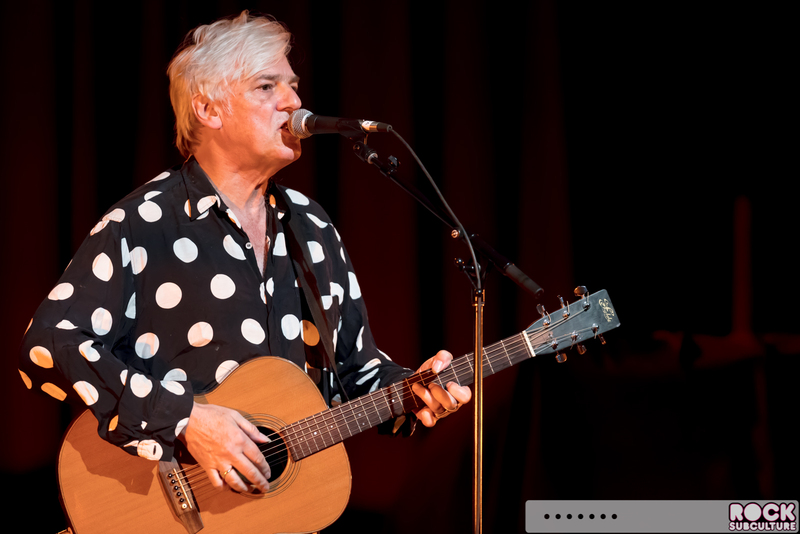 Robyn Hitchcock is certainly one of the most interesting English singer-songwriters performing today, with a career going back to the 70s. 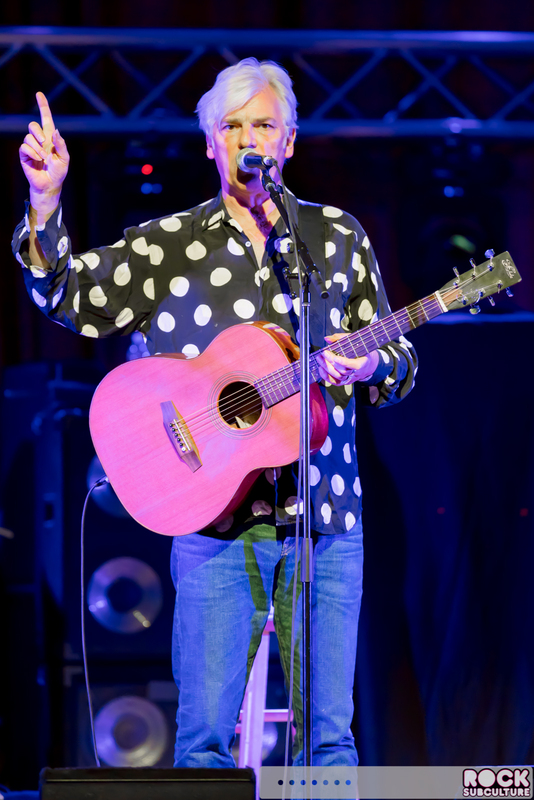 His songs and his anecdotes and commentary in-between varies from funny to hilarious, he definitely is not one to take himself too seriously. 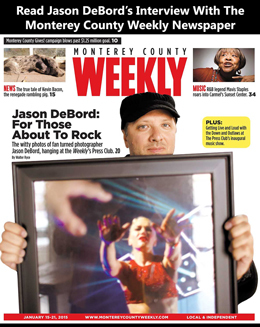 Jonathan Demme even did a film about him, Storefront Hitchcock, back in the late 90s. 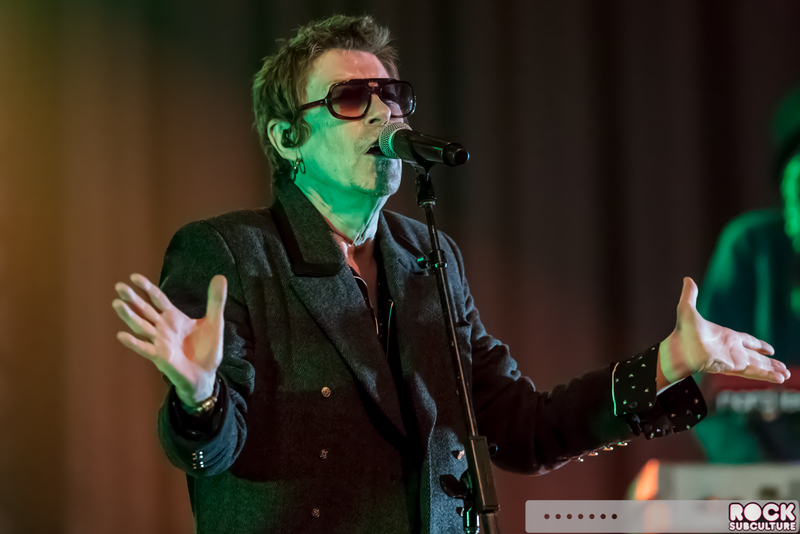 I remember discovering his music back in the 80s, and he was really ahead of his time in terms of incorporating a myriad of unusual subjects and ideas into music in an irreverent manner. 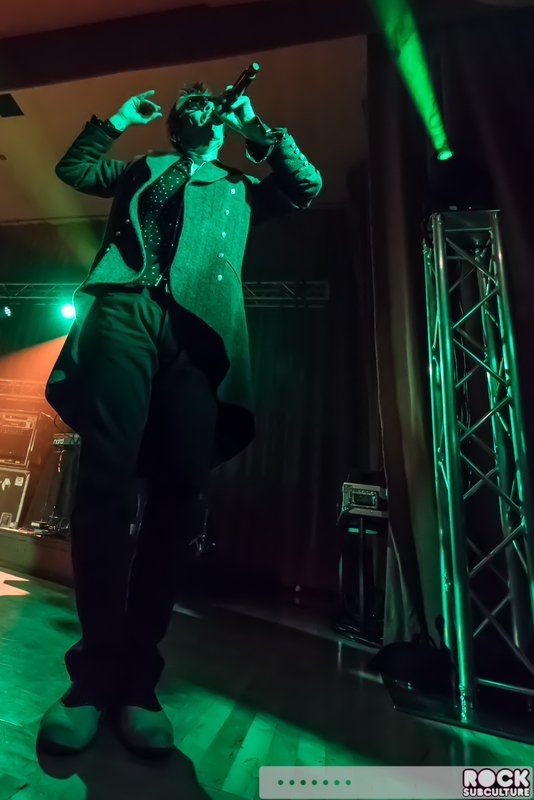 I’d never seen him perform live prior to this show, so it was quite an added bonus and I really enjoyed his set. 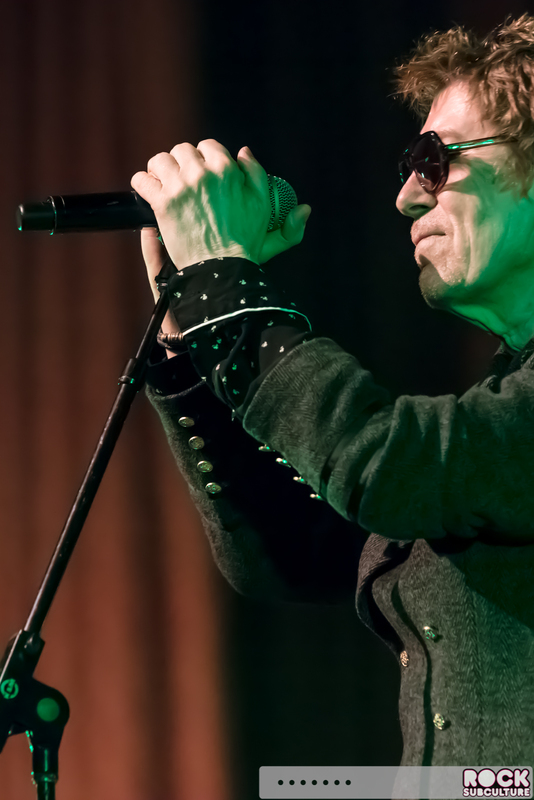 The Psychedelic Furs are a principal band in the post-punk New Wave movement that was born out of the UK in the late 70s and early 80s. 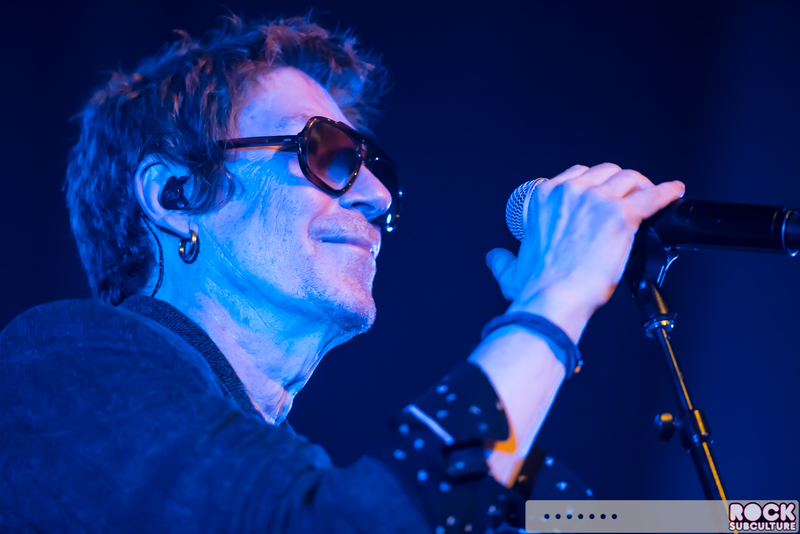 Formed in the British punk scene in 1977, the band, founded by brothers Richard Butler on lead vocals and Tim Butler on bass, went through a series of band names (RKO, Radio, The Europeans) before committing to the Psychedelic Furs. 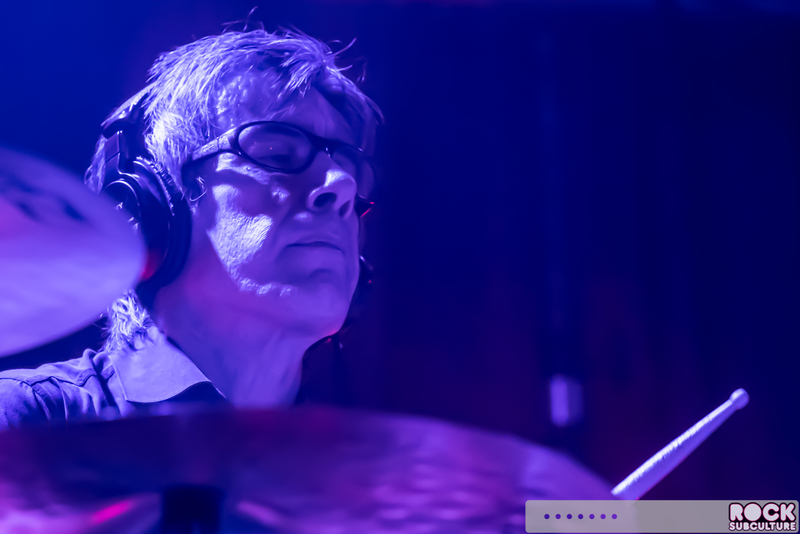 The first (eponymous) album was produced by the legendary Steve Lillywhite (who worked with U2, The Rolling Stones, Morrissey, Sioxusie and the Banshees, Talking Heads, Peter Gabriel, and more) and released in 1980. 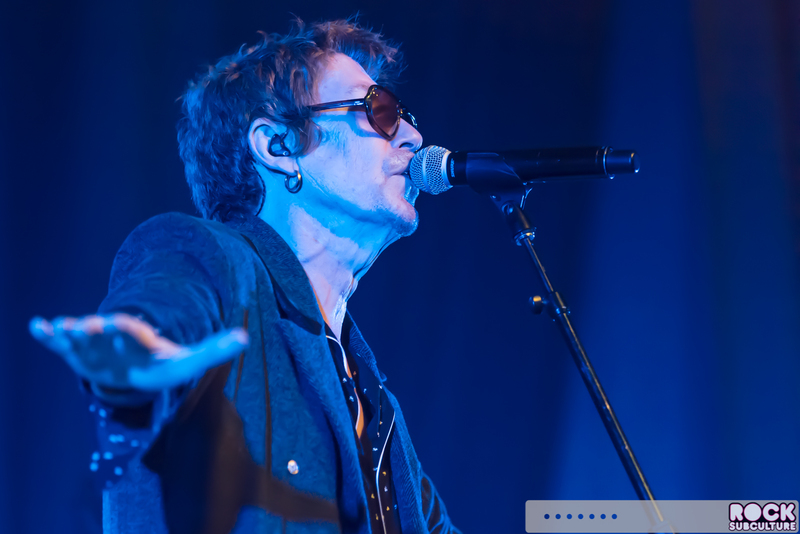 The first song of theirs I remember hearing was “Love My Way”, which came off of their 1982 album, Forever Now. 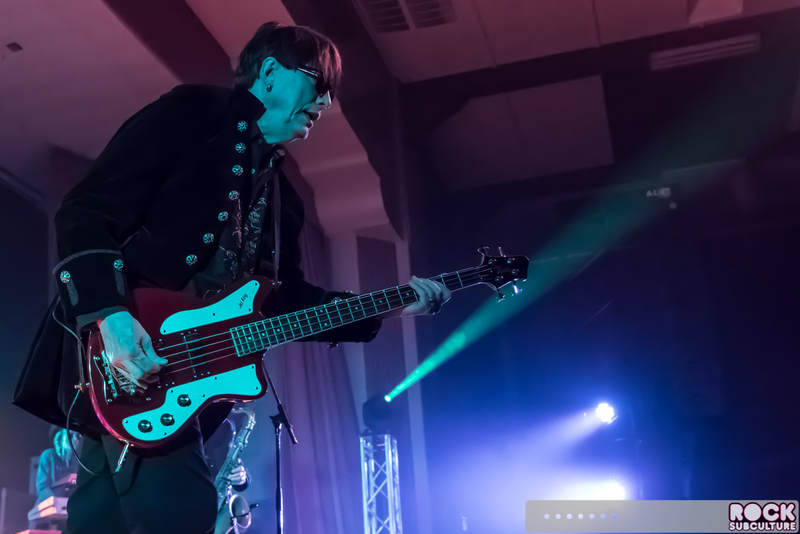 Their biggest moment in the U.S. came from a re-recorded version of “Pretty in Pink”, which was featured in the John Hughes film starring Molly Ringwold. 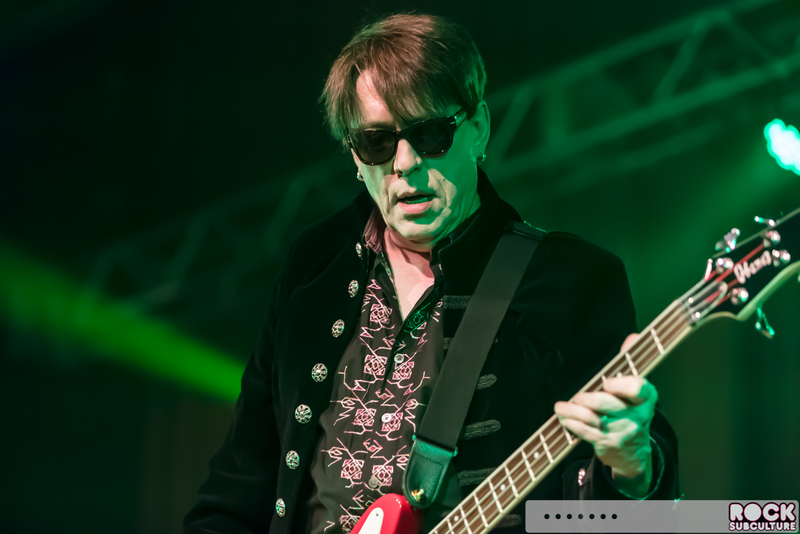 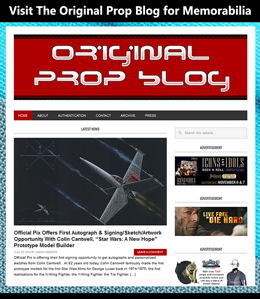 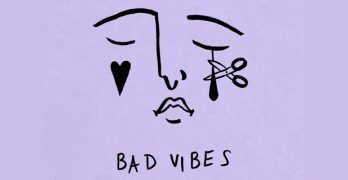 The song has, over the decades, really come to represent much about the 80s… the New Wave/post punk movement, it’s captured a bit of the vibe and atmosphere which was unique at that time, college radio, John Hughes’ teen-centric films reflecting those times, and more. 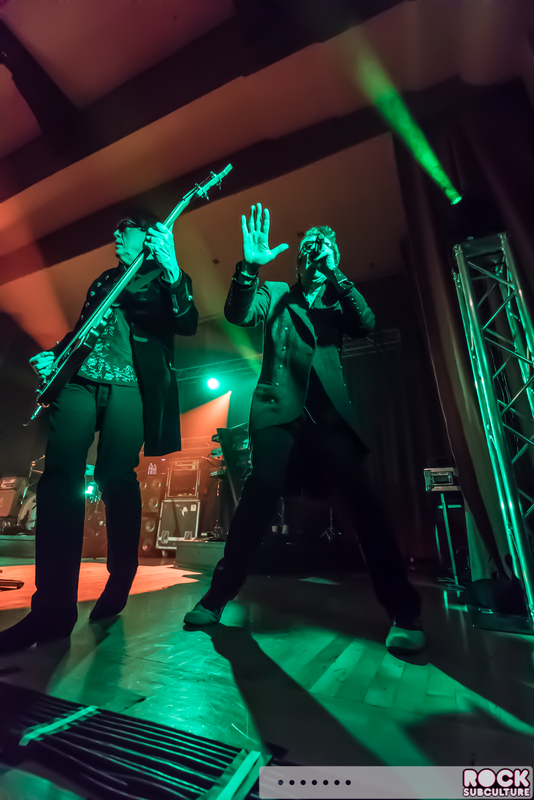 The band did part ways in the early 90s, and Richard and Tim formed their own Love Spit Love. 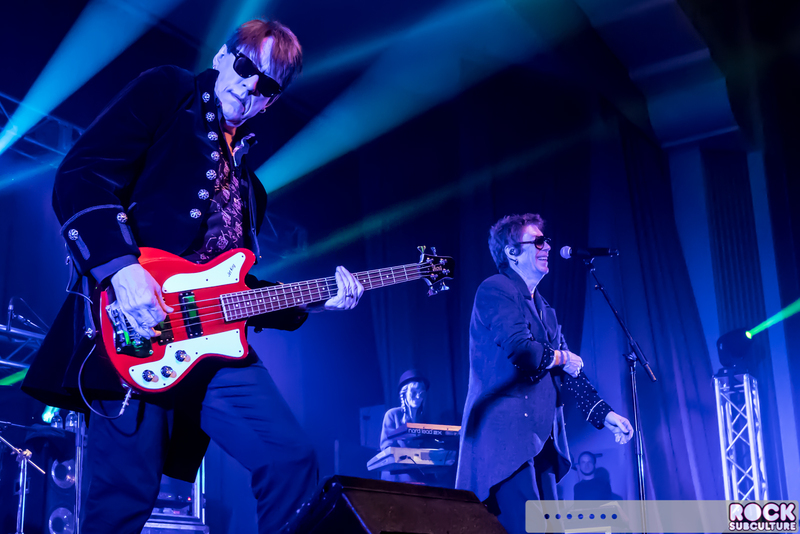 The band came back together again in 2000 and have toured on and off ever since. 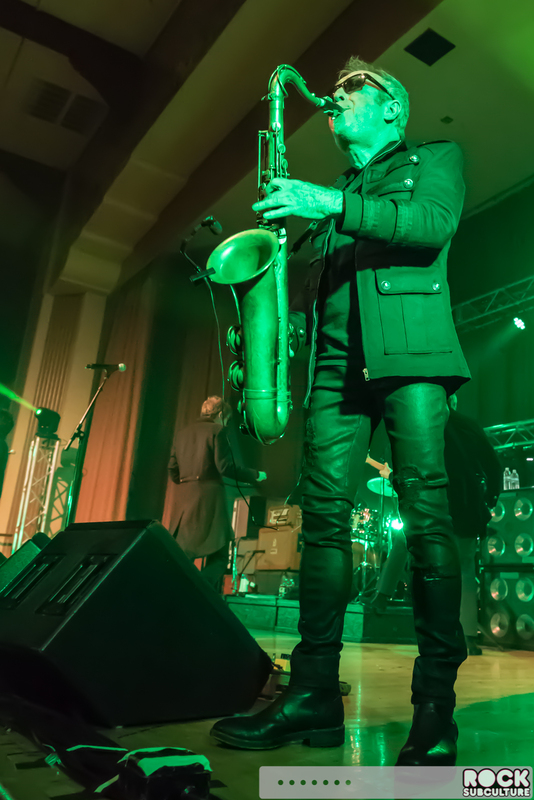 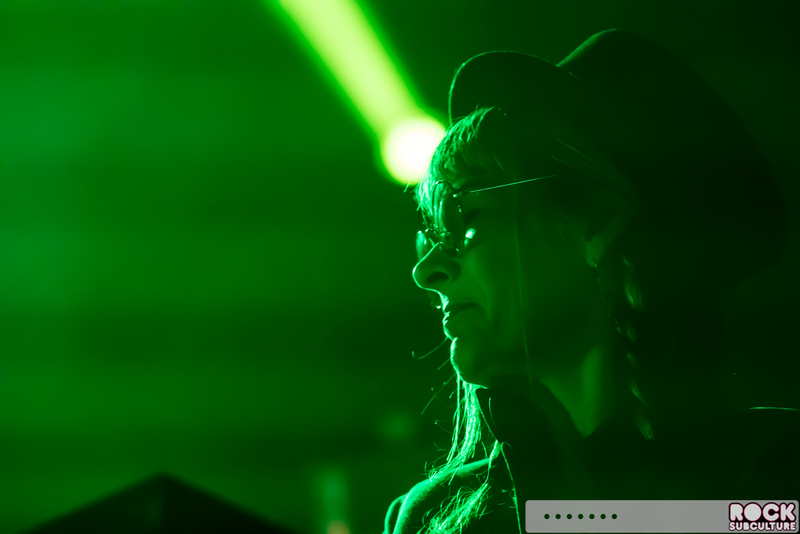 I’ve seen the band perform a few times in the last ten years, in support of the Yazoo (Yaz) on their “Reconnected” tour, which I managed to catch in Orange County in 2008. 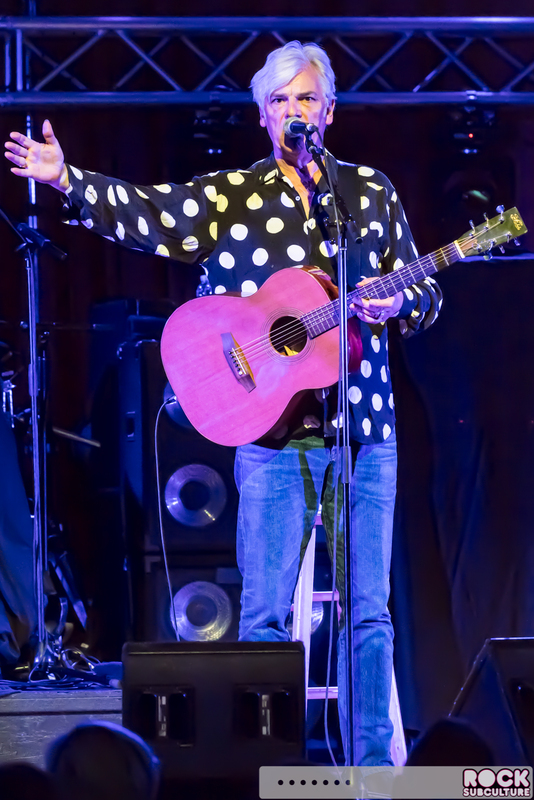 And then in 2012 on the same bill as The Go-Go’s at Mountain Winery in Saratoga. 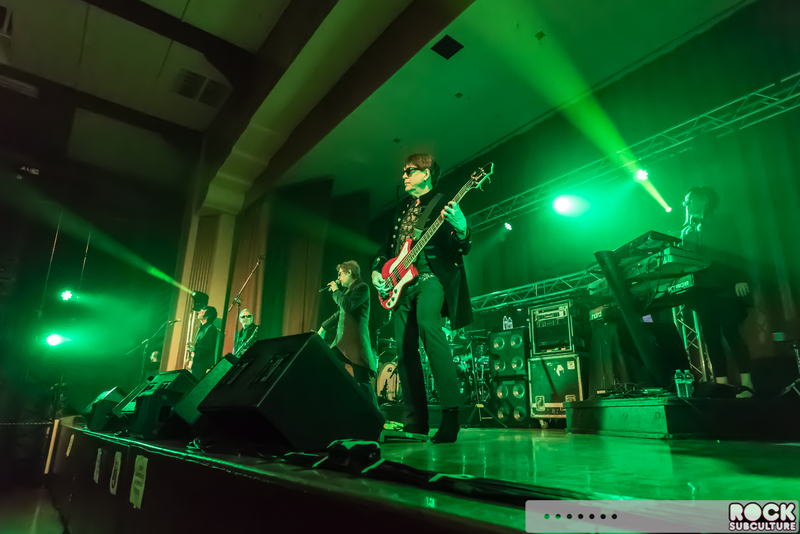 My wife Shelley came with me to this show as she is a huge fan and had never seen them live before. 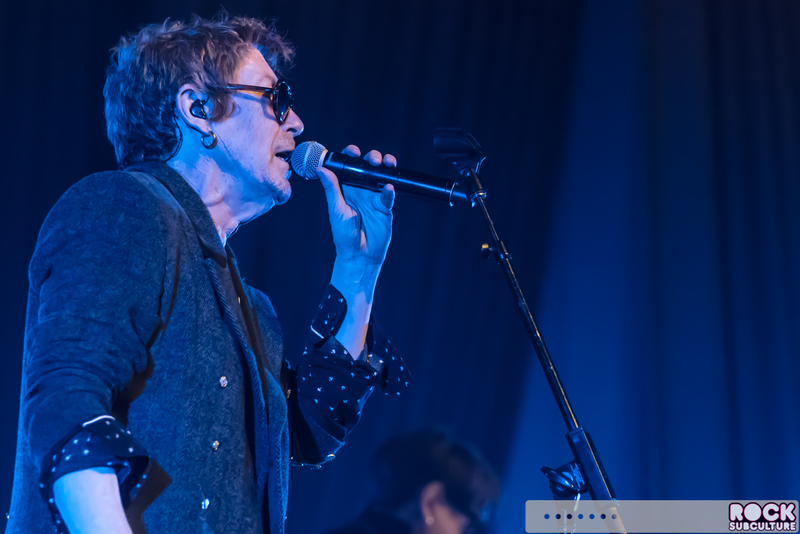 I was excited to have a chance to see them with Shelley as well as the headliners of their own show (more songs, longer set). 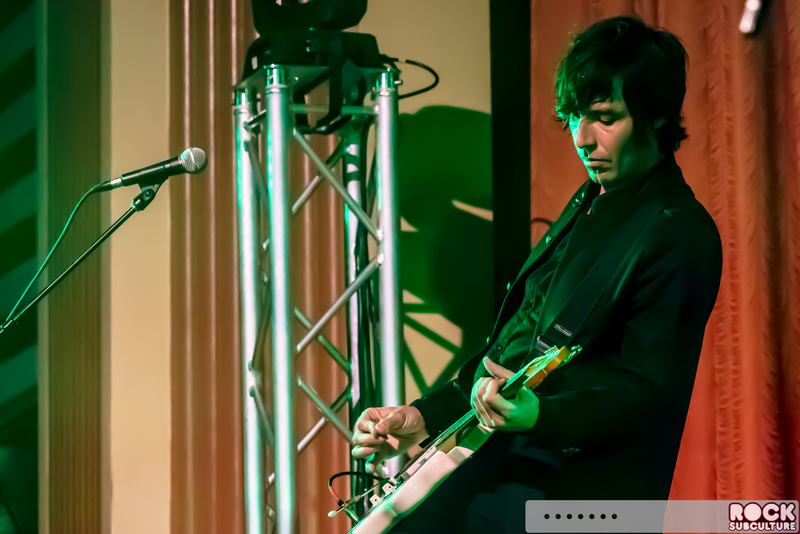 It was great to have a long set to take in their music. 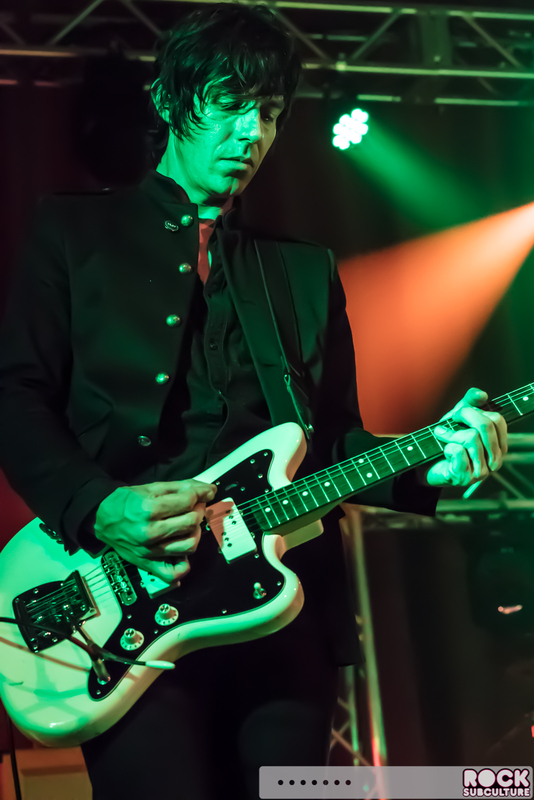 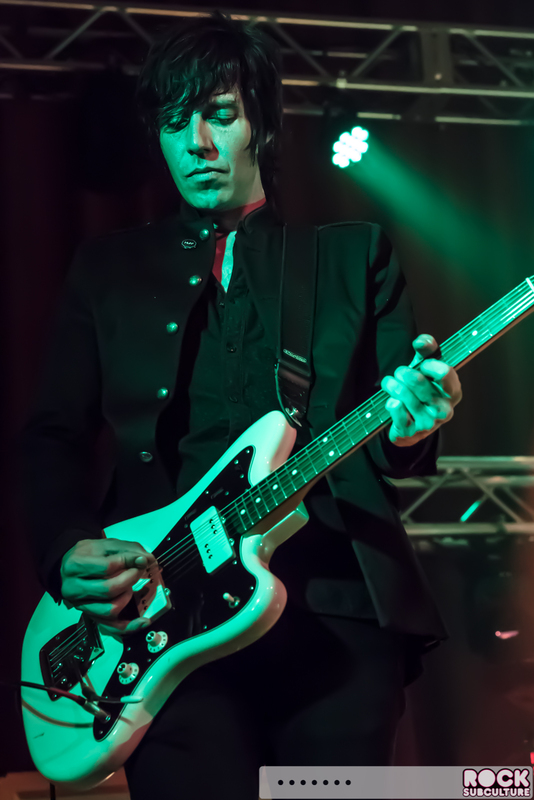 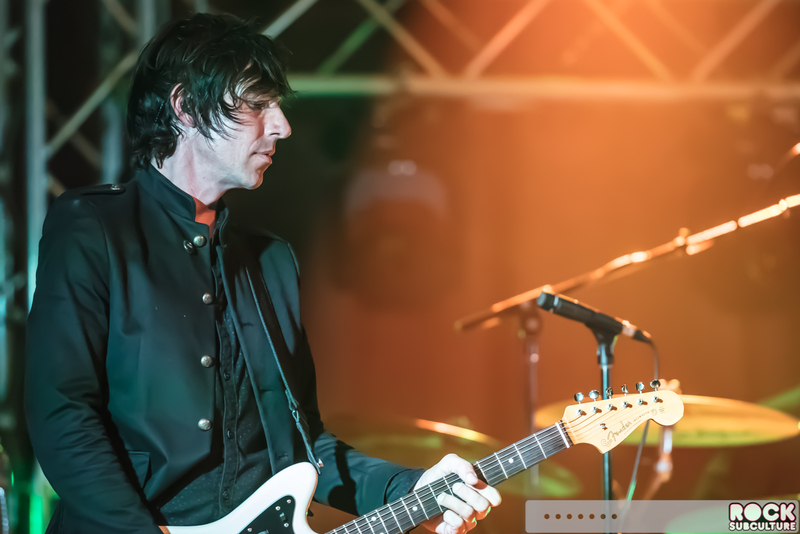 The Furs are really a remarkable band. 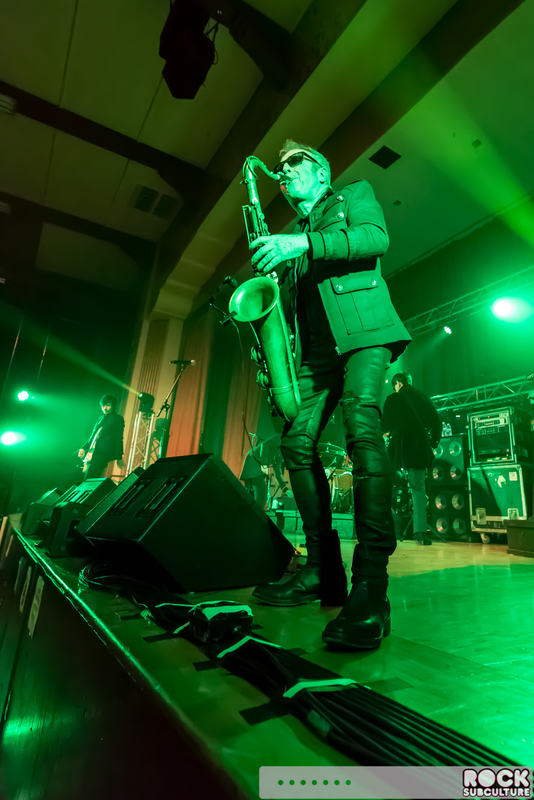 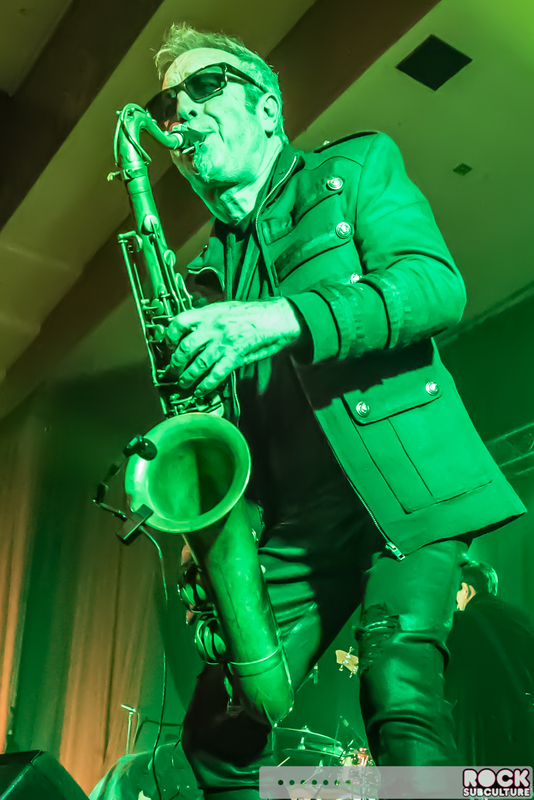 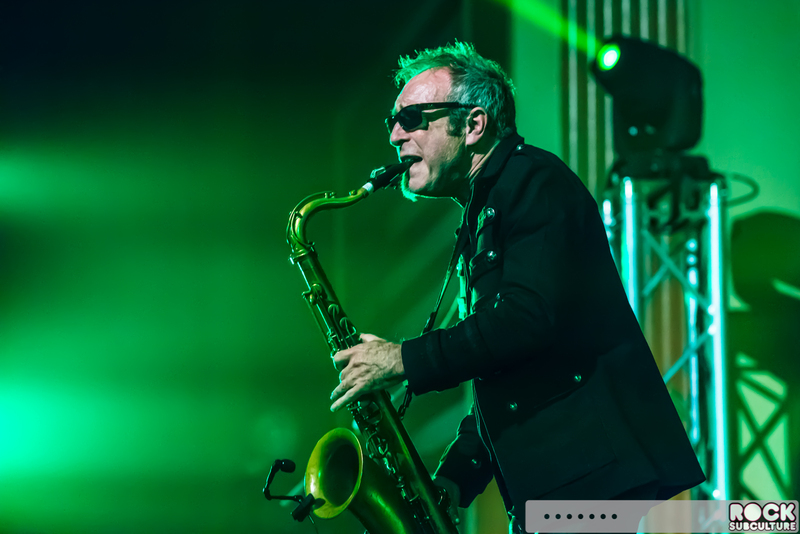 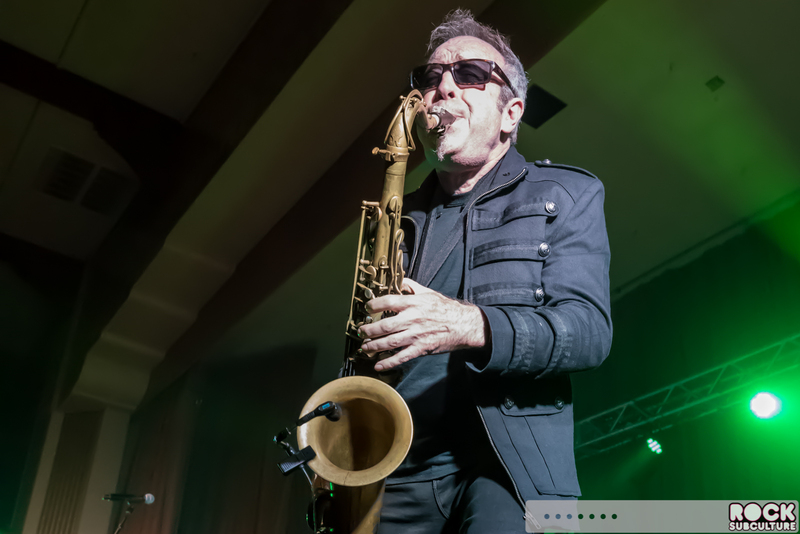 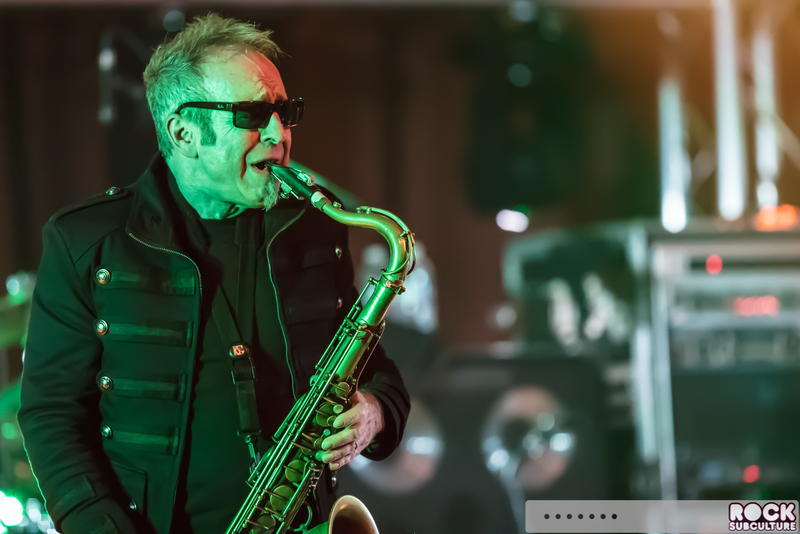 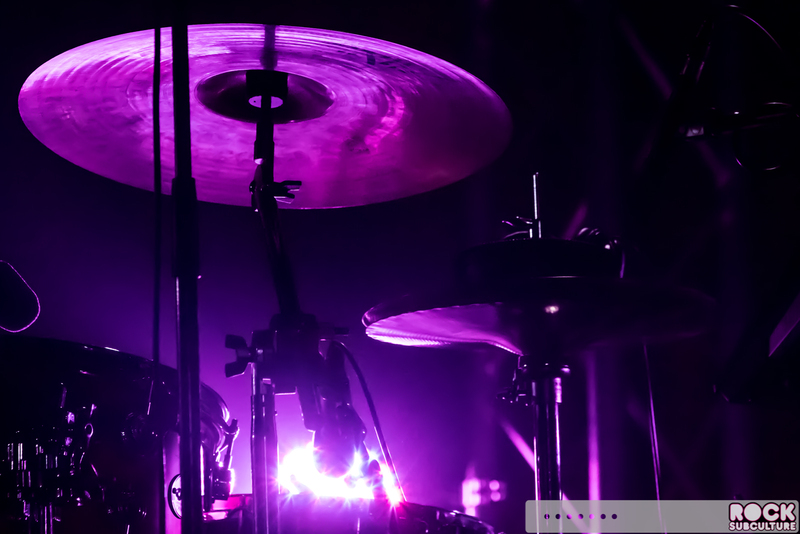 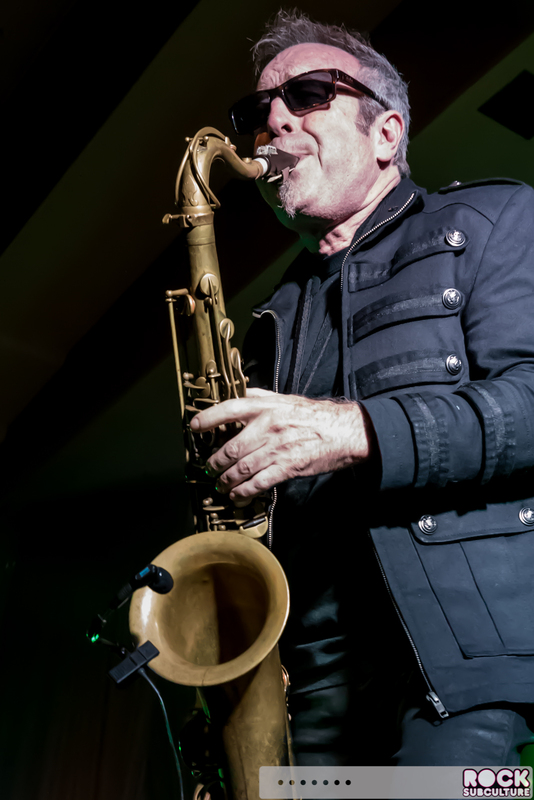 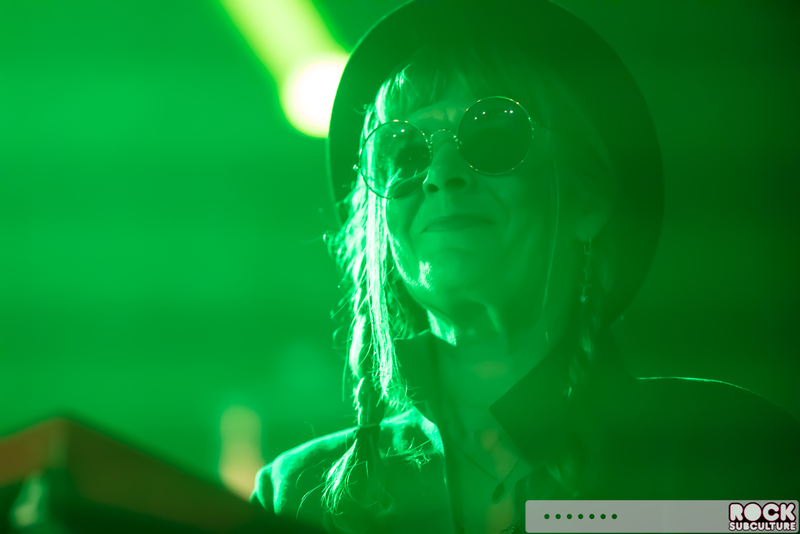 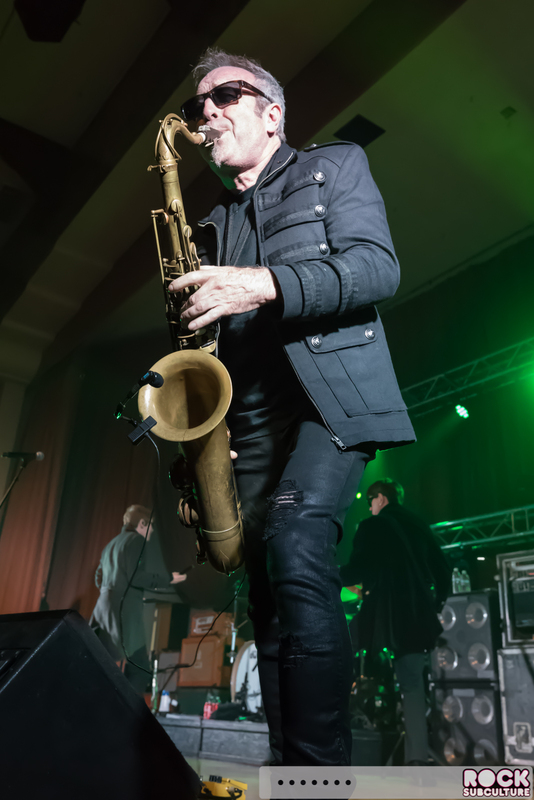 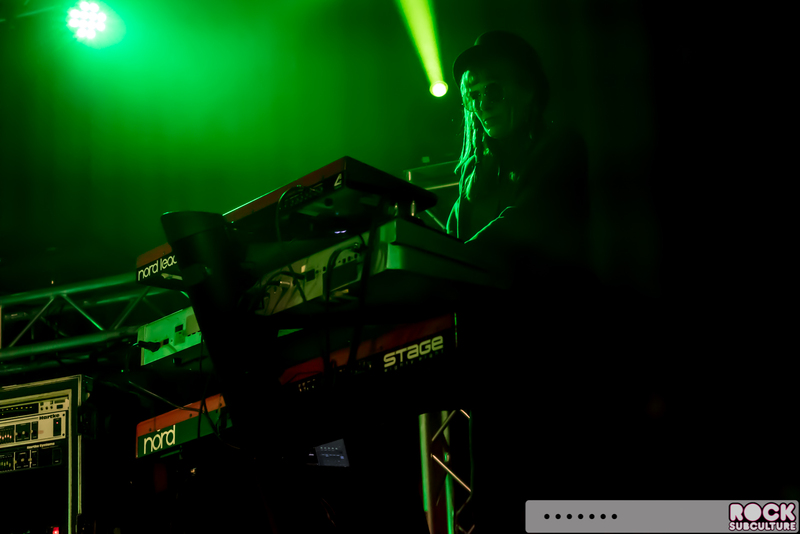 In a live setting, it was even more apparent how much the music (with some exceptions) is built on bass, drums, and vocals, with heavy sax on some songs. 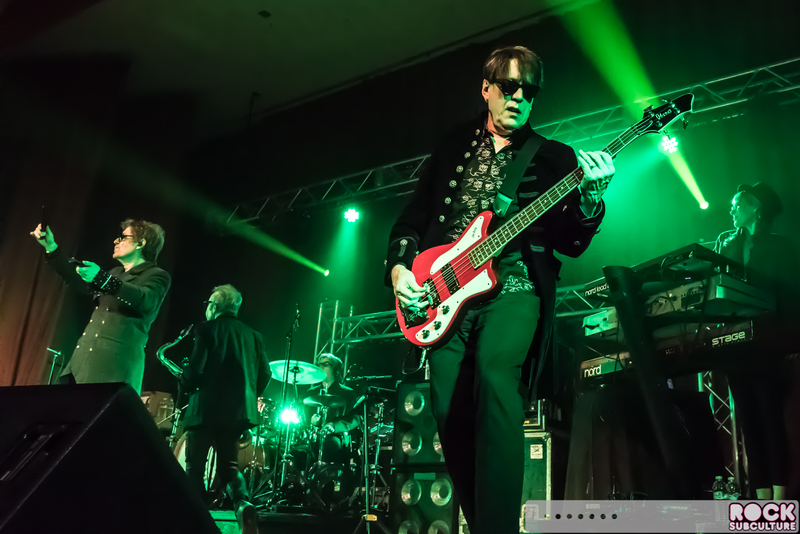 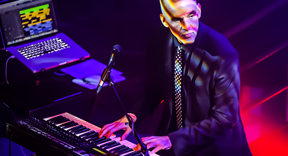 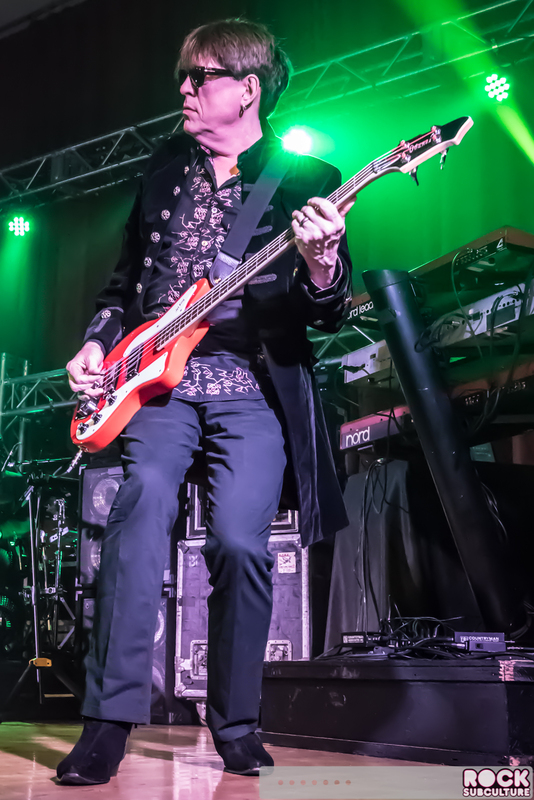 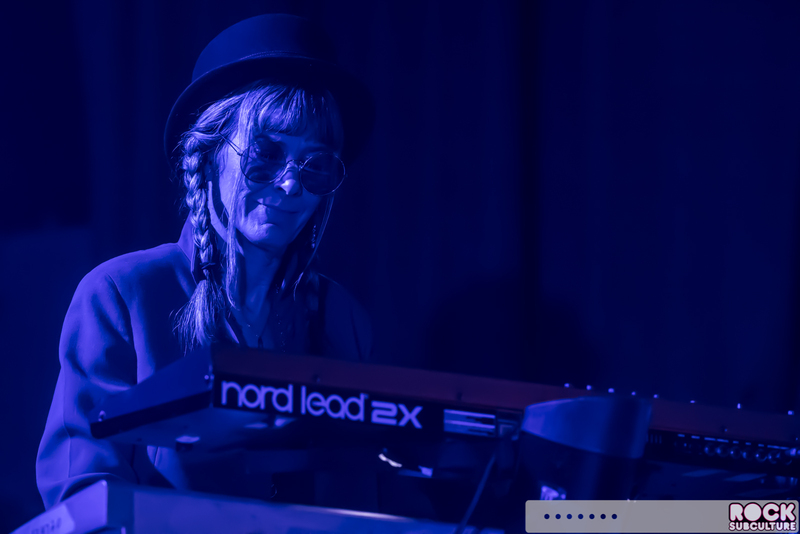 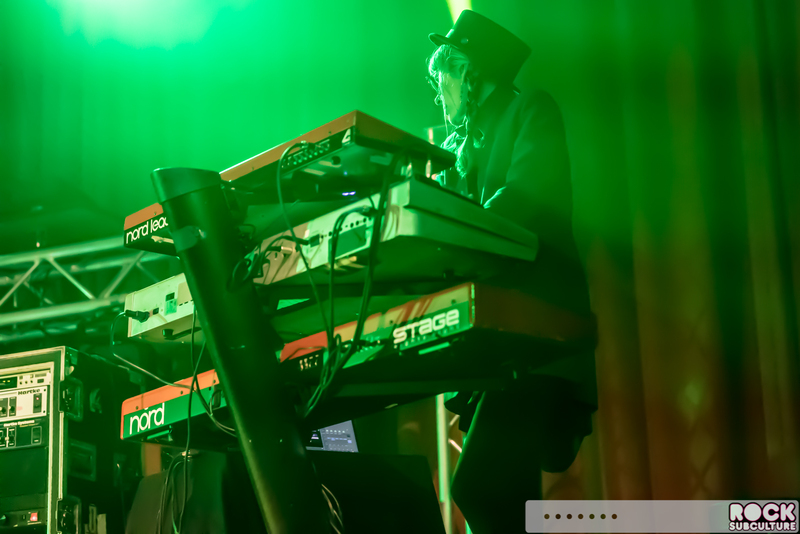 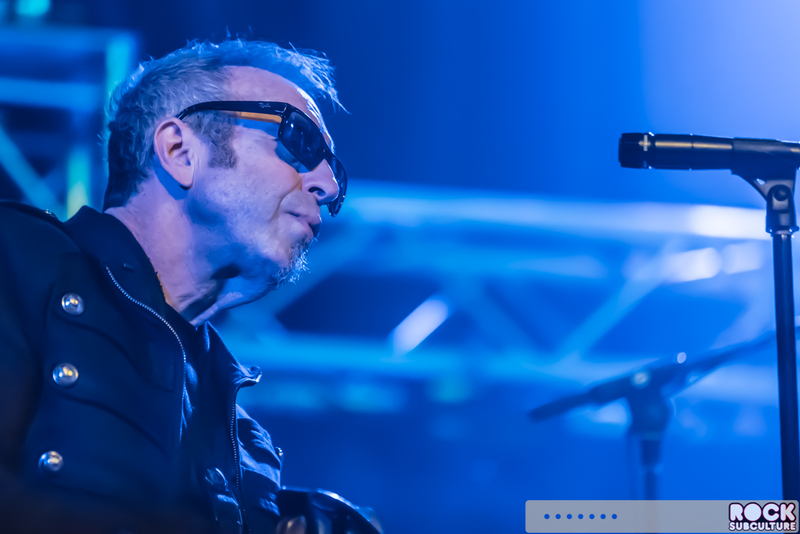 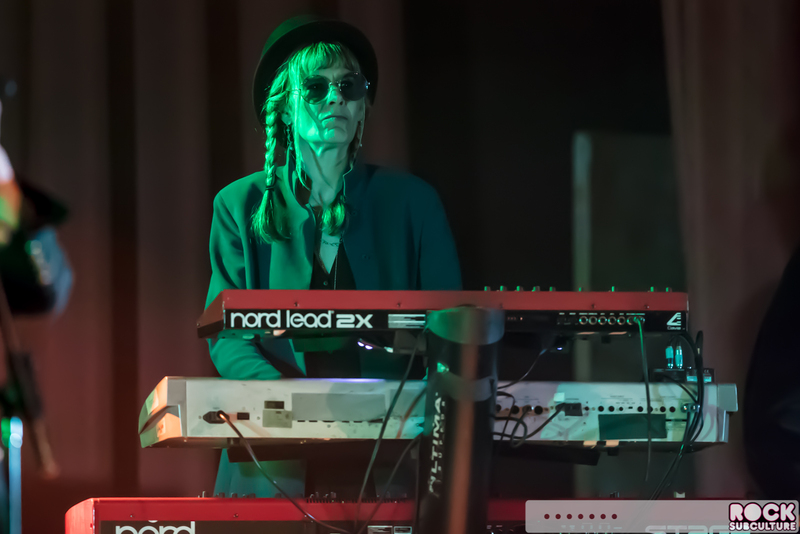 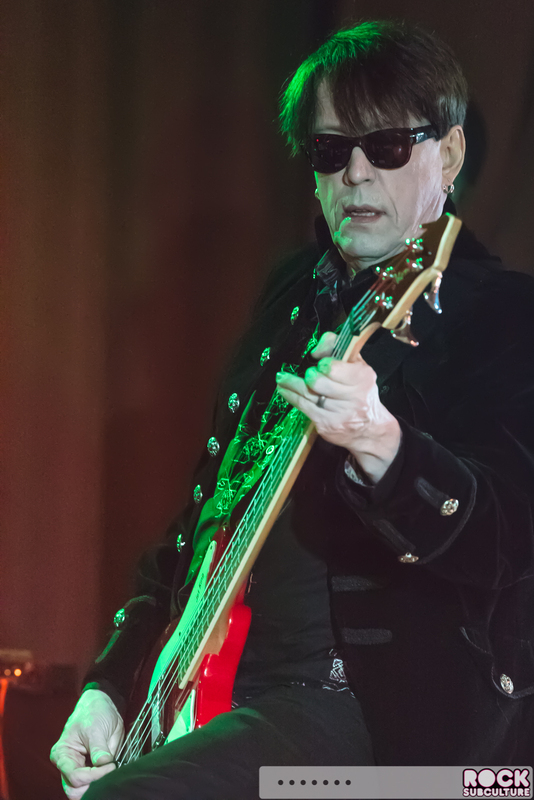 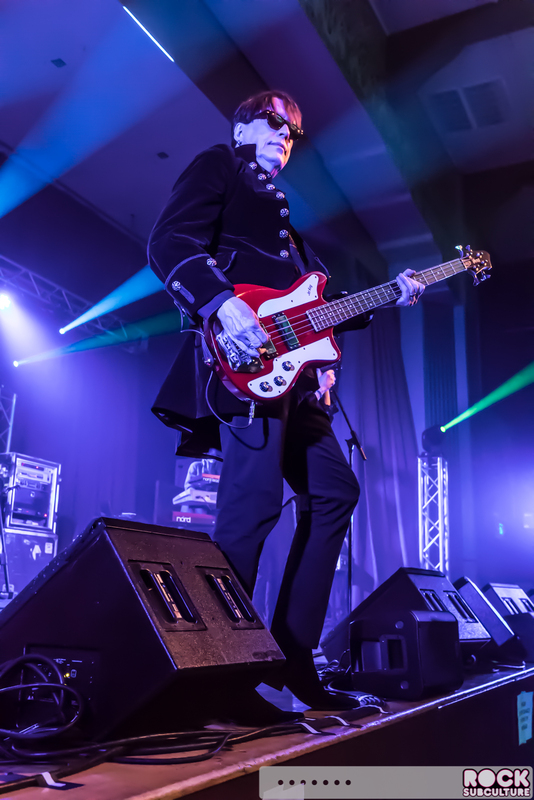 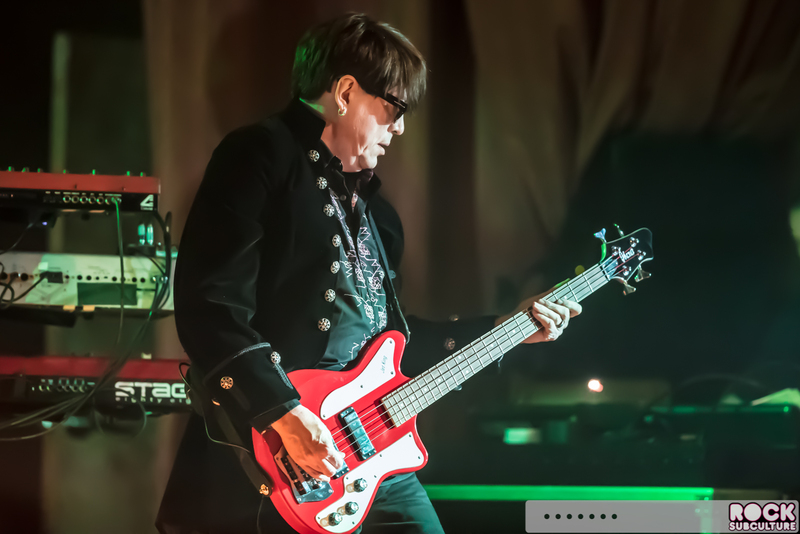 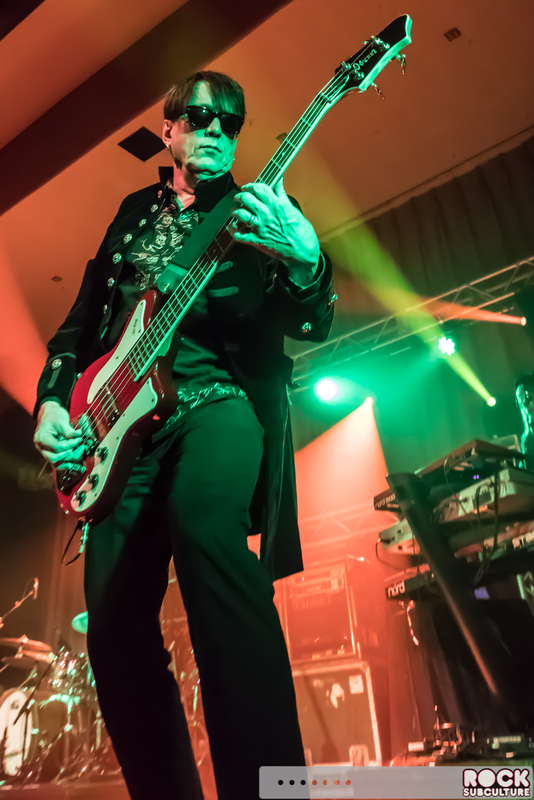 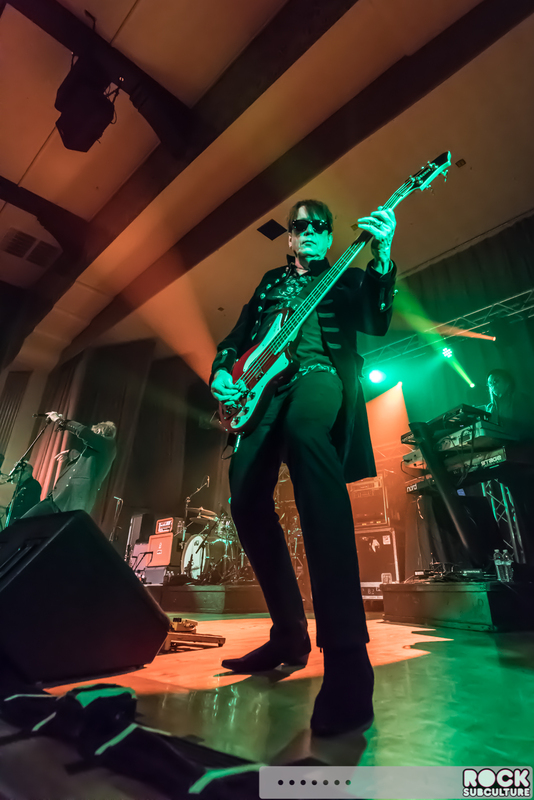 Bucking the overall trends of the 80s with New Wave’s emphasis on synthesizer and guitar and other genres at the time also focused on guitar, The Furs also have keyboards and guitar but they are at the forefront of only certain songs. 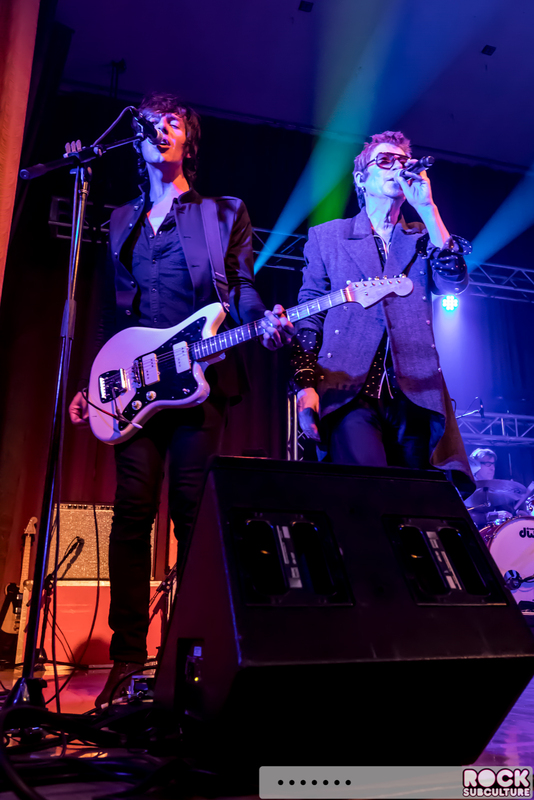 And with the more optimistic and pop-oriented music from their alternative peers, The Furs had a darker view of the world. 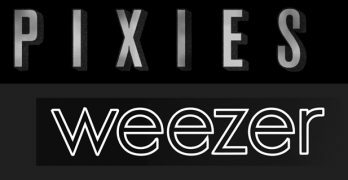 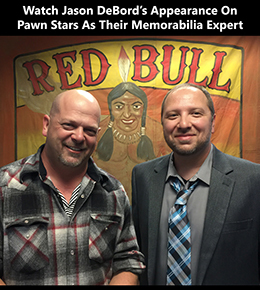 Just as interesting, no one before, during, or since have really sounded much like them. 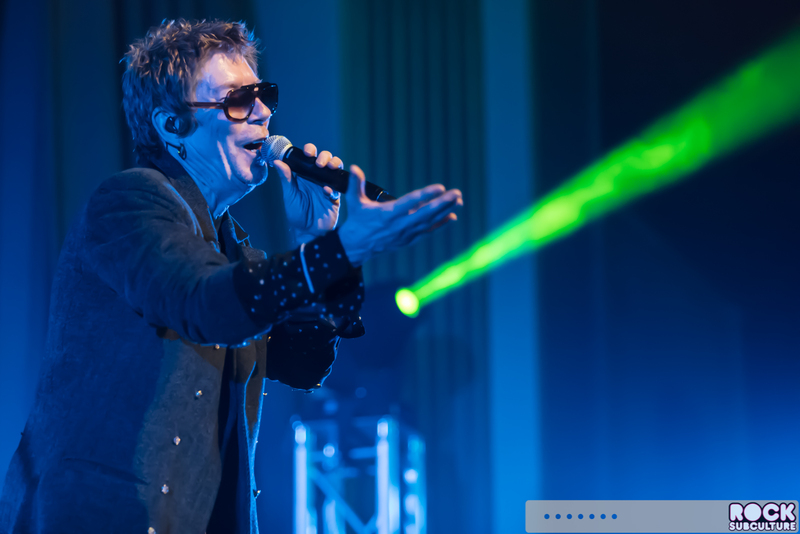 So they kind of made their way through the 80s in a bit of a bubble. 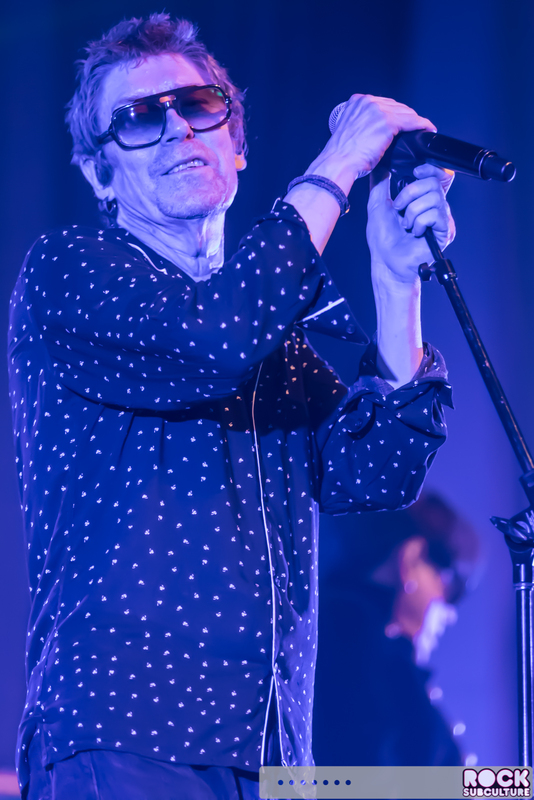 They played most of the songs I wanted to hear on Sunday night, including “President Gas” and “All That Money Wants”, which were not played the last time I saw them live. 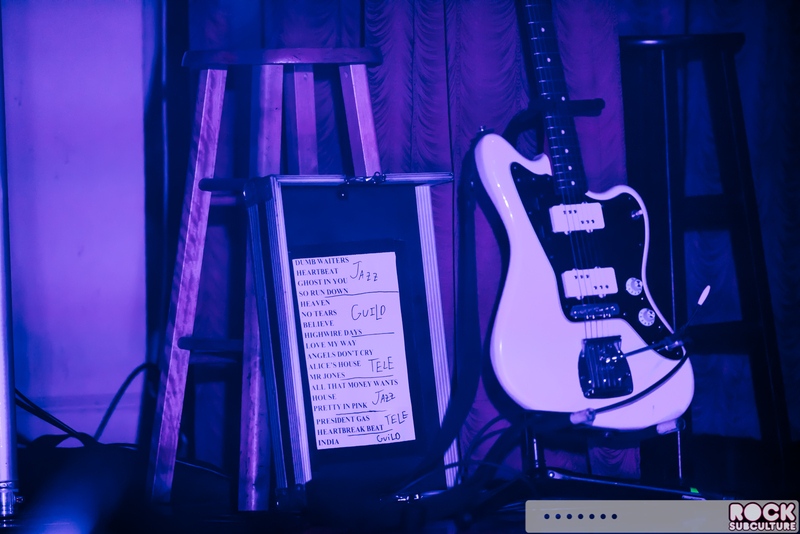 The one key song missing was “Heartbreak Beat” in the encore – I suspect that they had a hard curfew and simply ran out of time, as it was on their printed setlist. 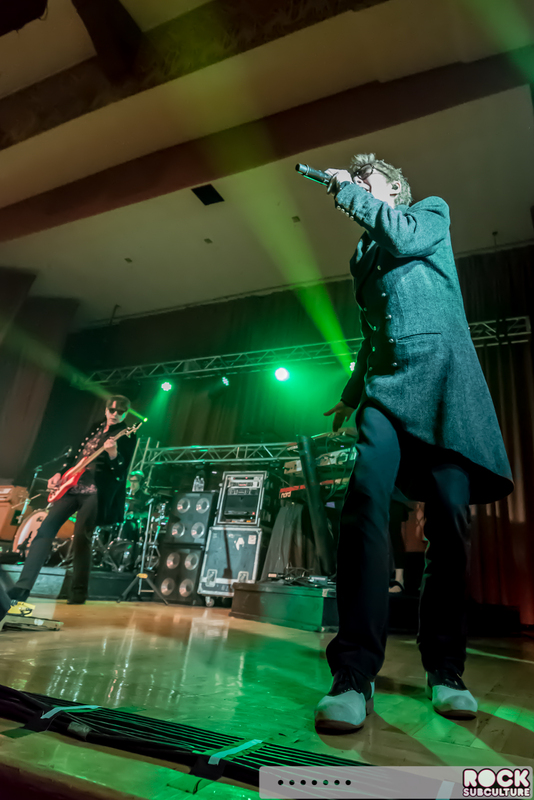 Again, spectacular concert – definitely check them out if they are coming to a city near you. 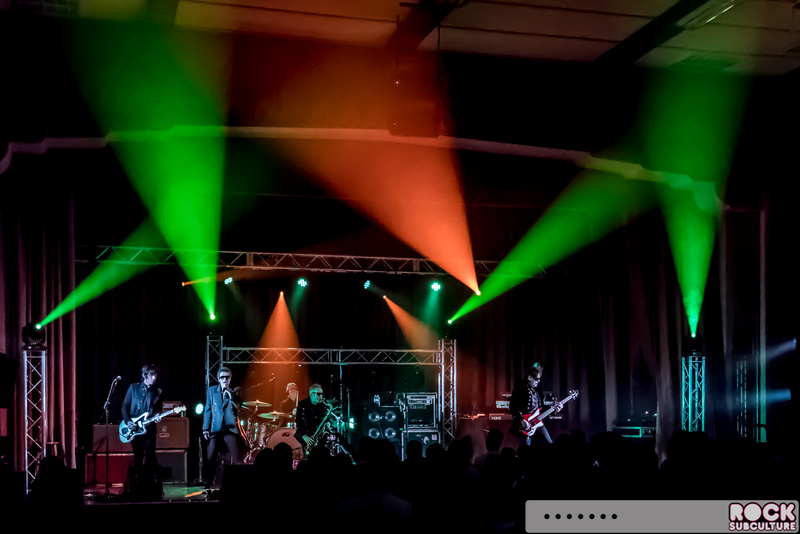 They sounded awesome and had great energy.